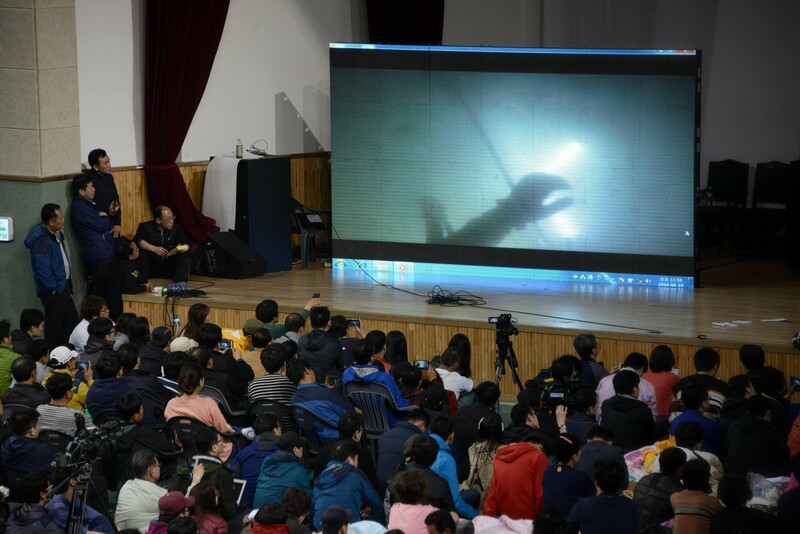 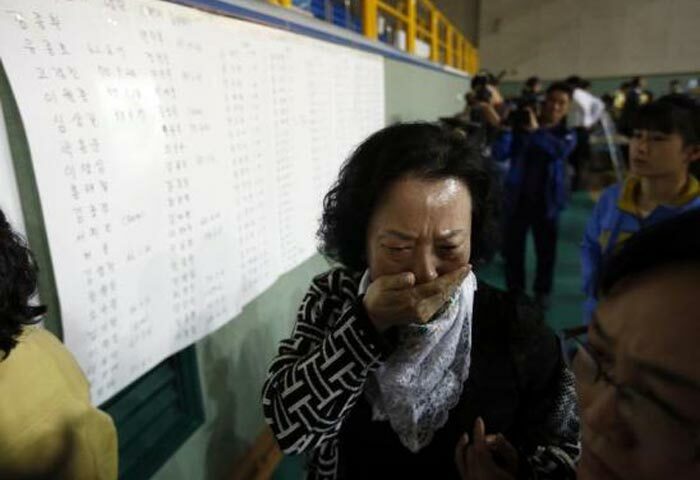 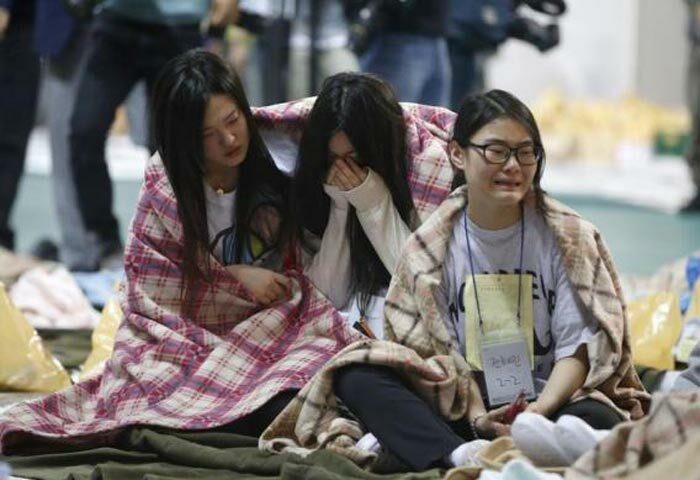 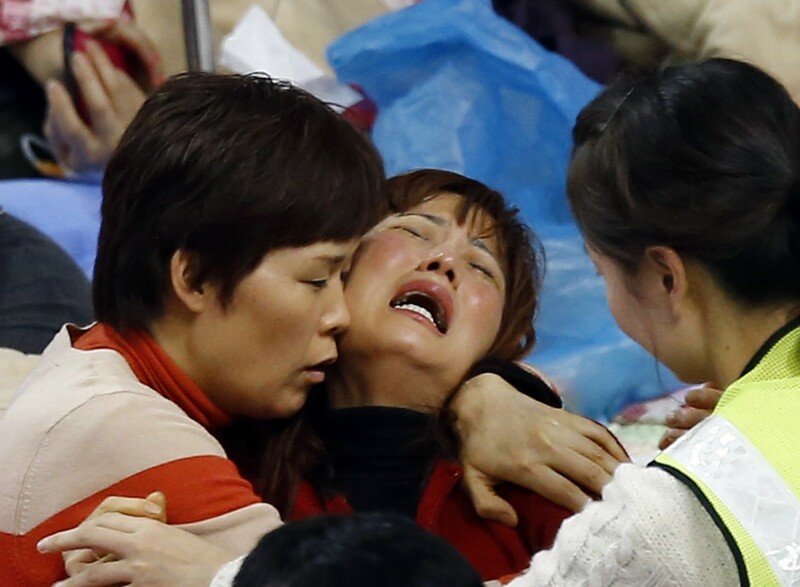 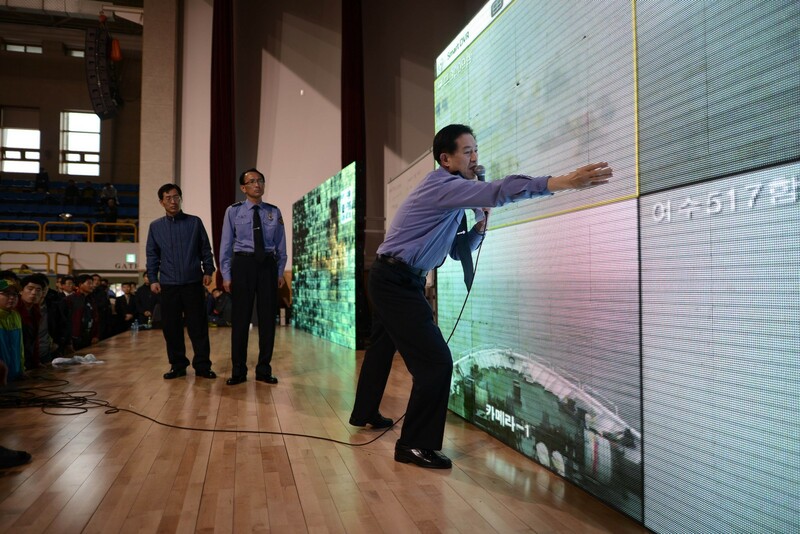 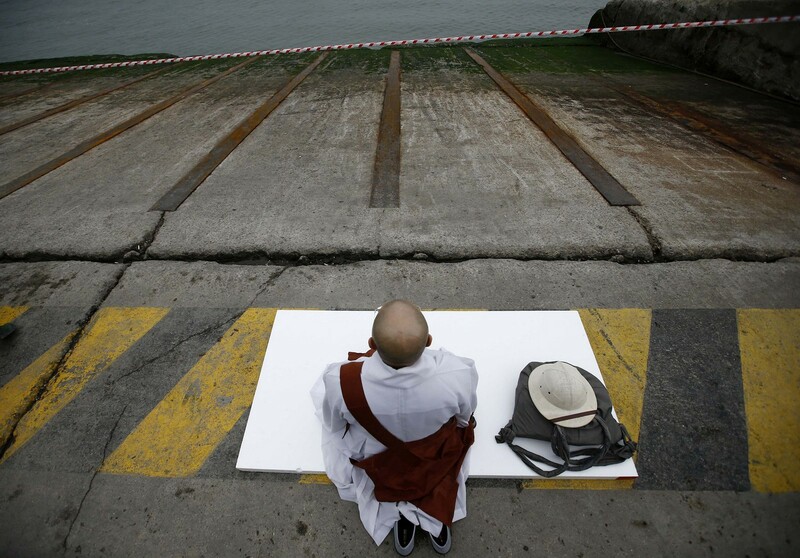 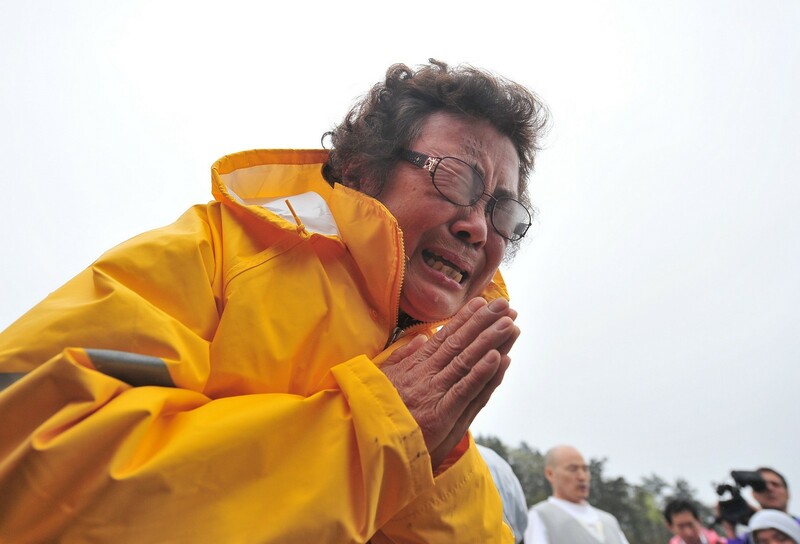 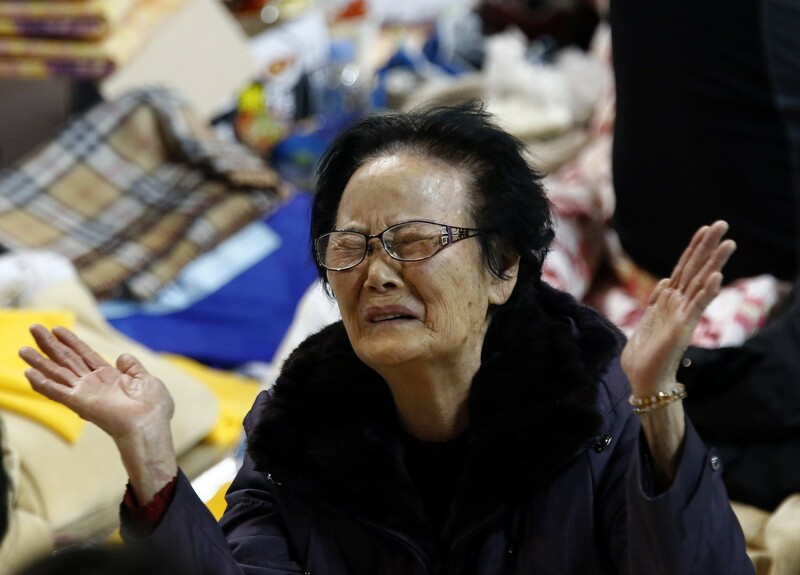 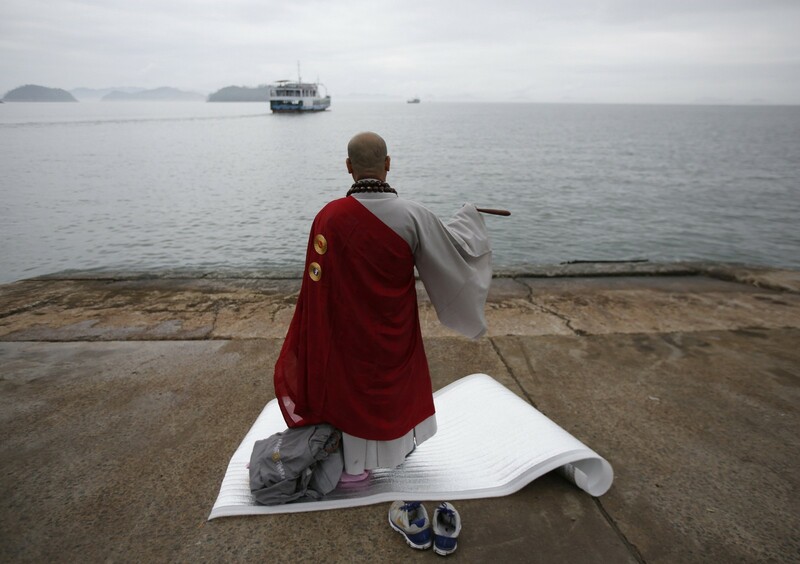 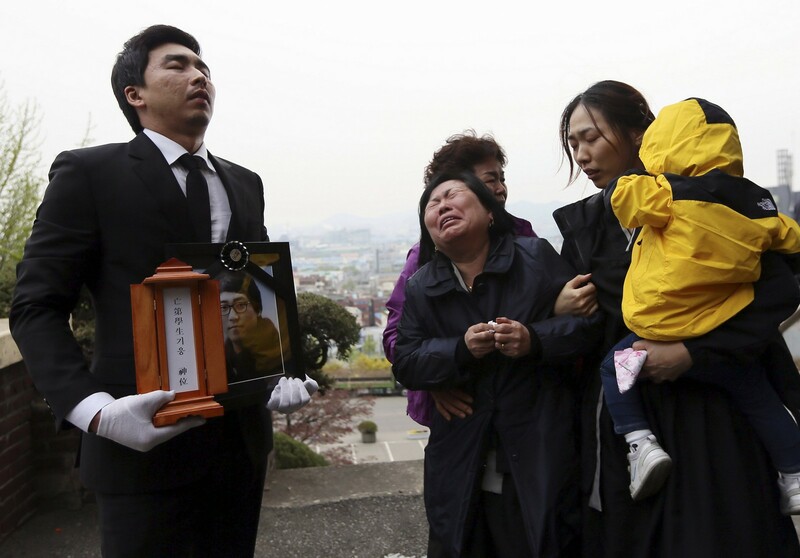 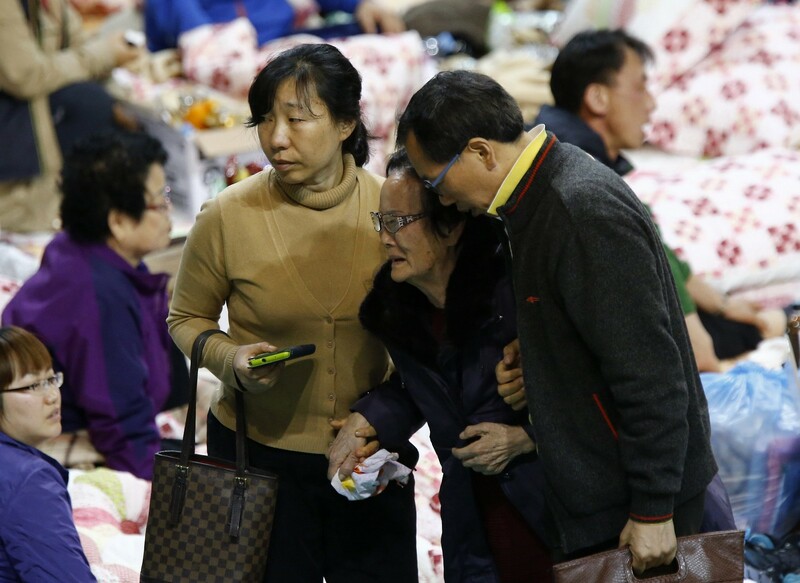 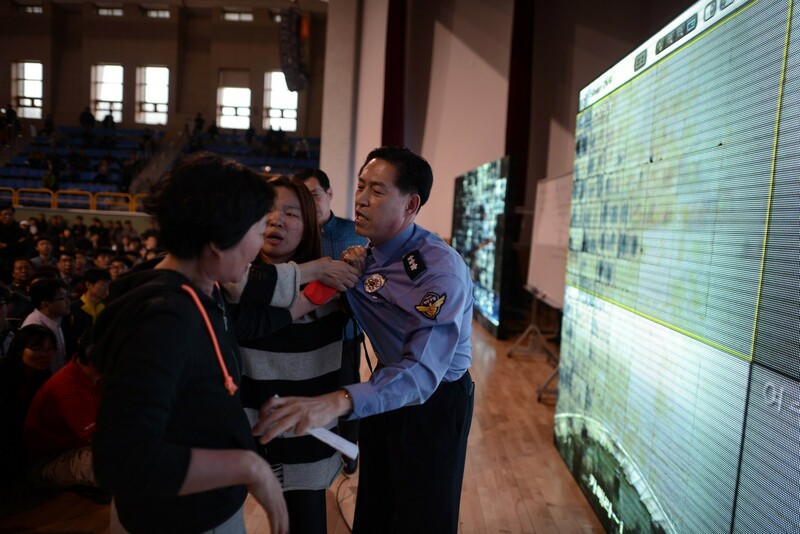 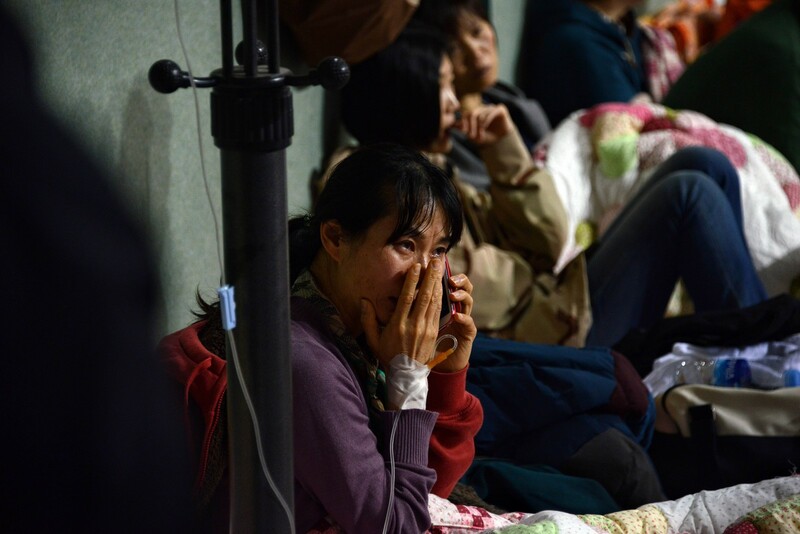 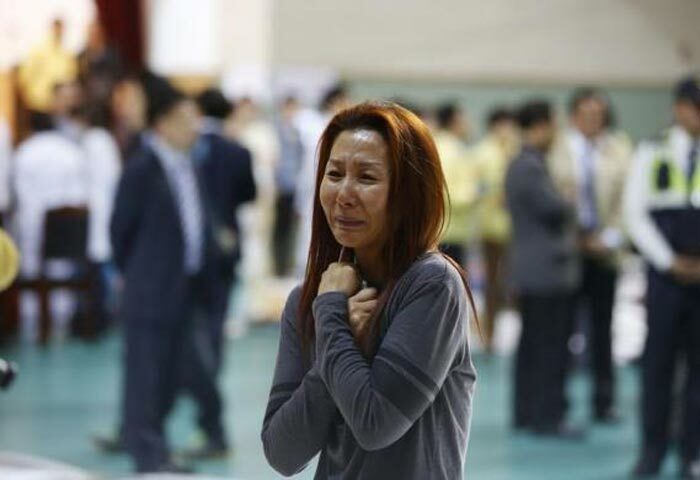 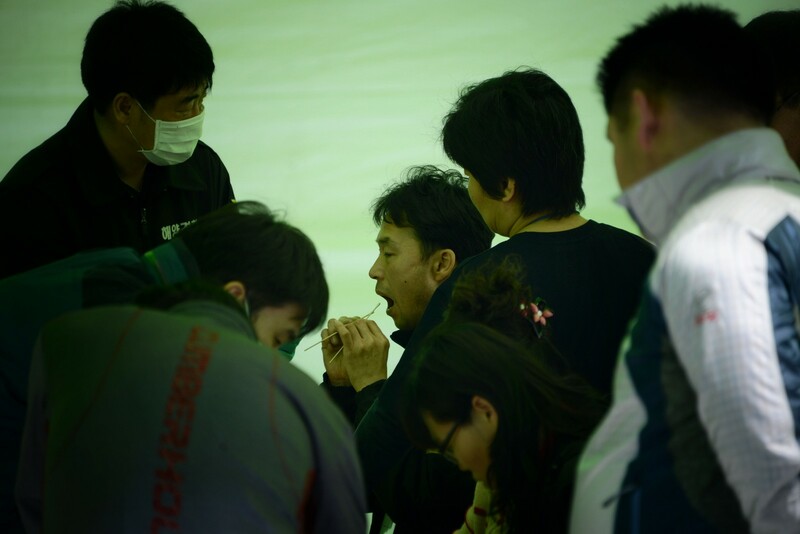 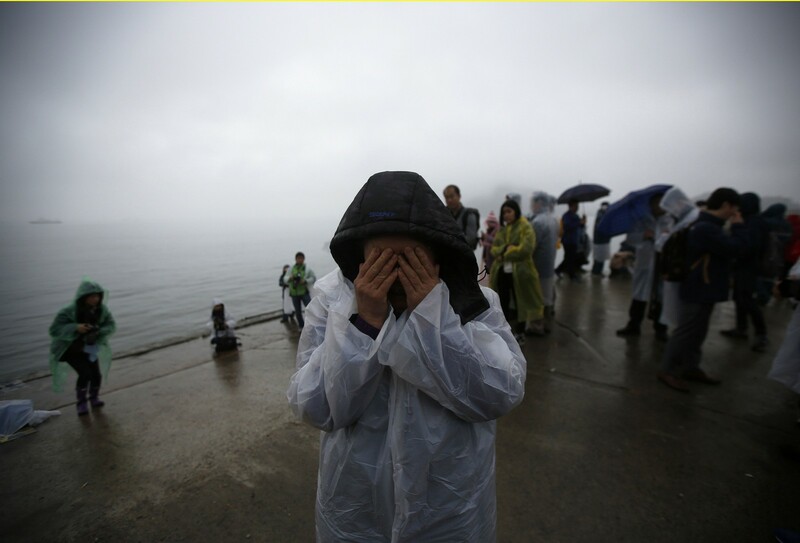 The grief escalated Tuesday as more relatives and friends bade farewell to loved ones in dozens of funerals held in Ansan, Gyeonggi Province, where most of the victims of the sunken ferry Sewol lived. 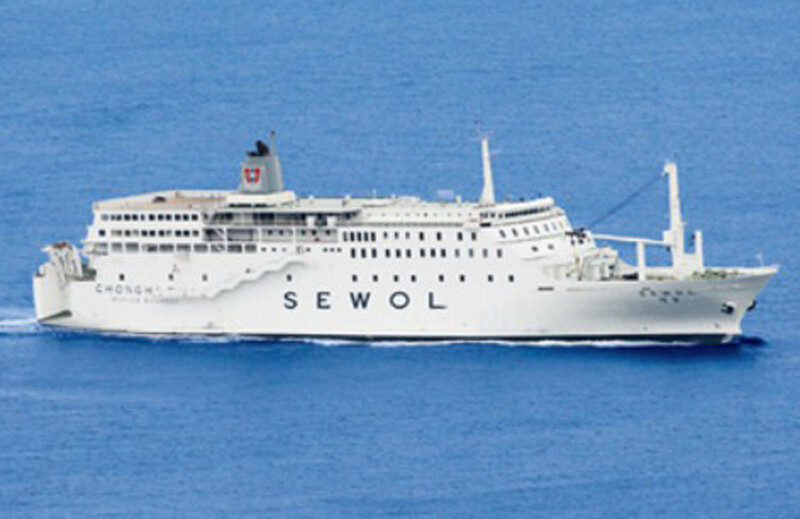 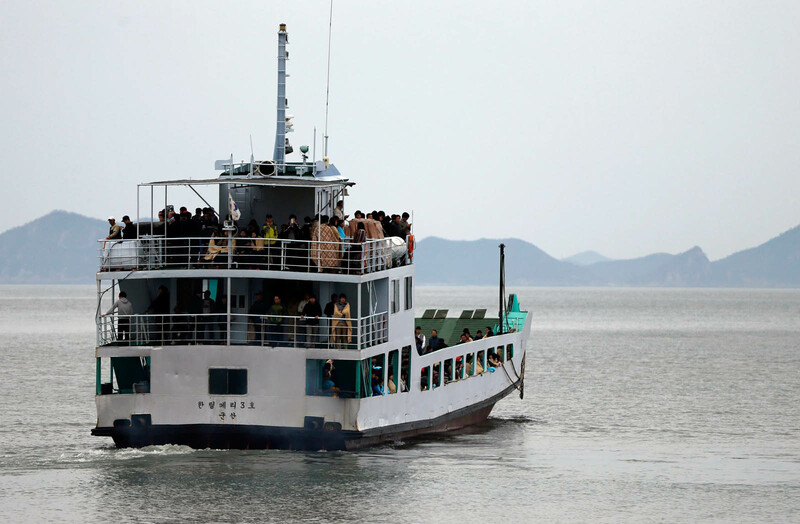 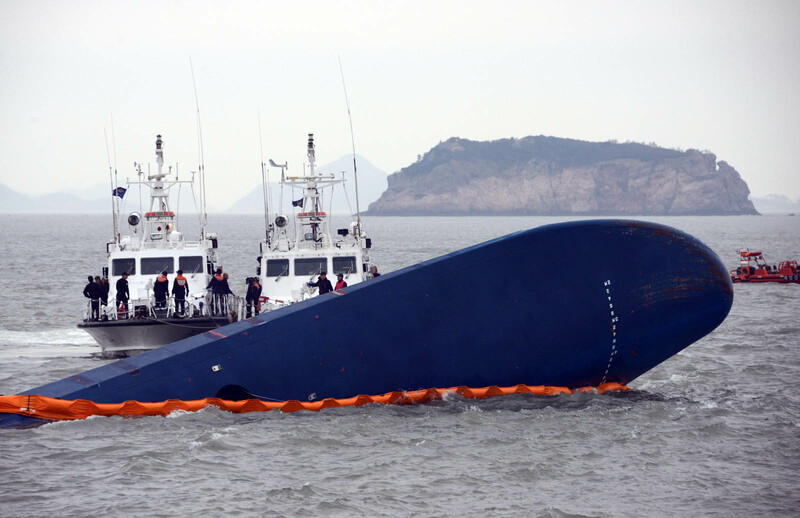 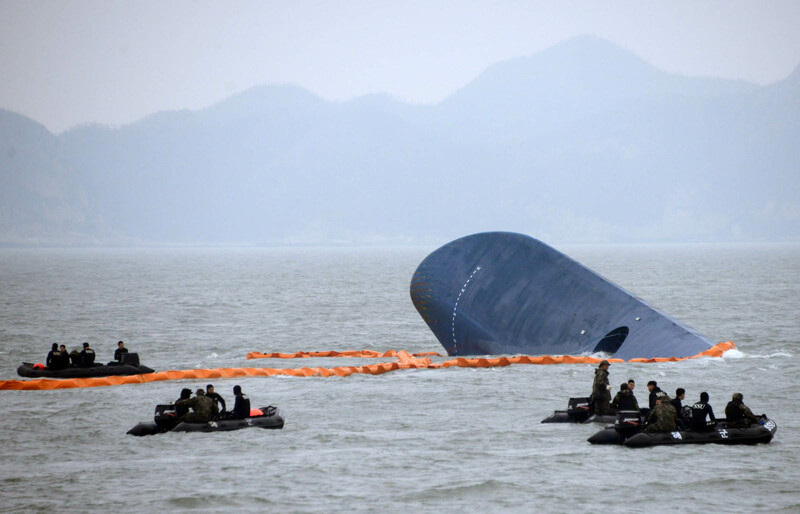 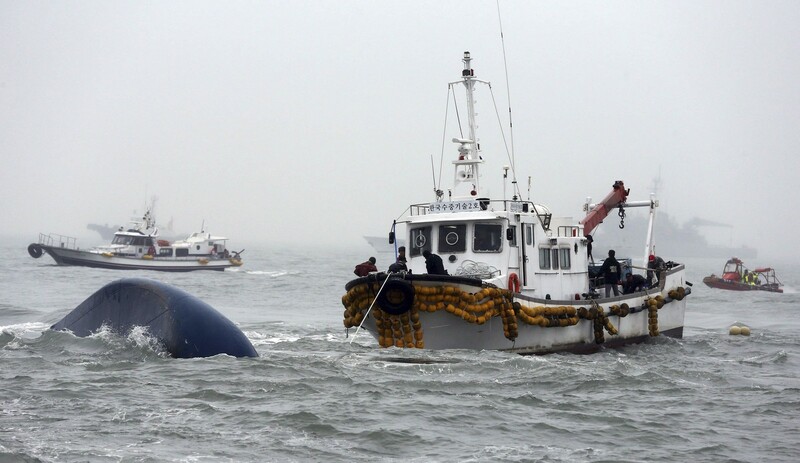 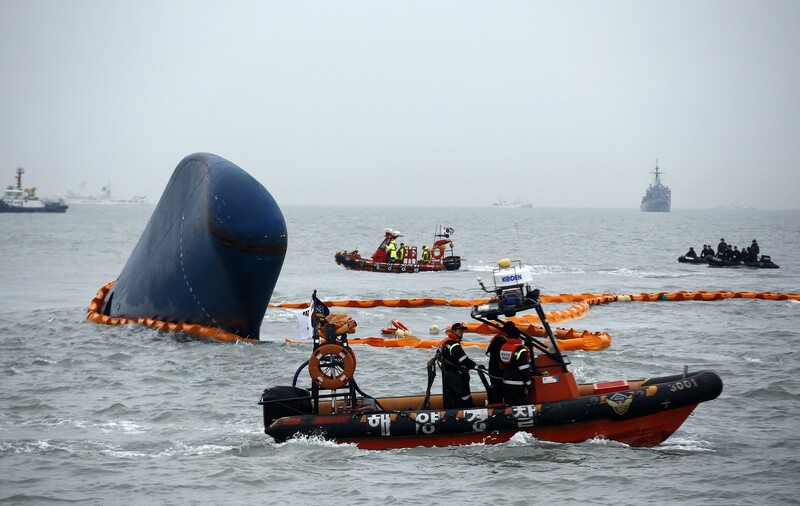 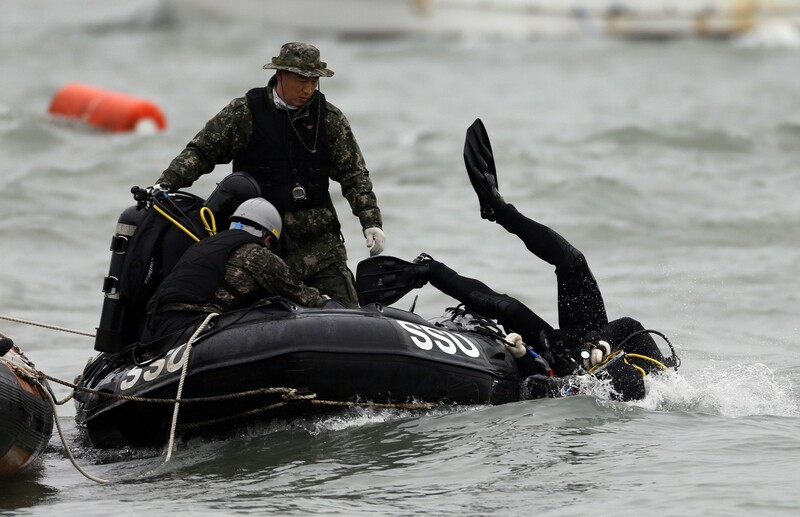 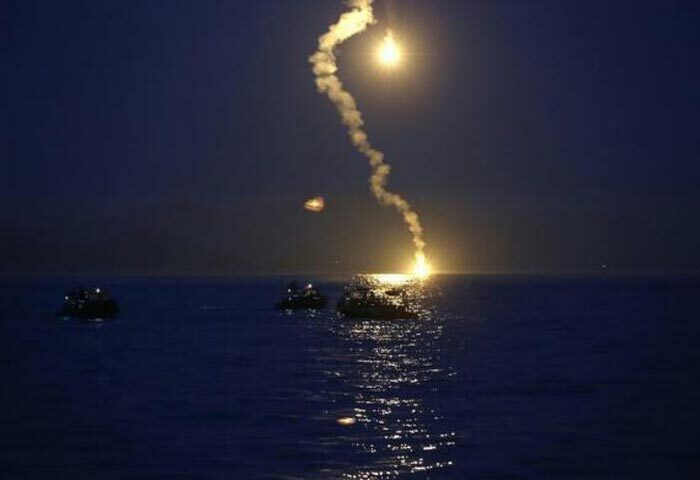 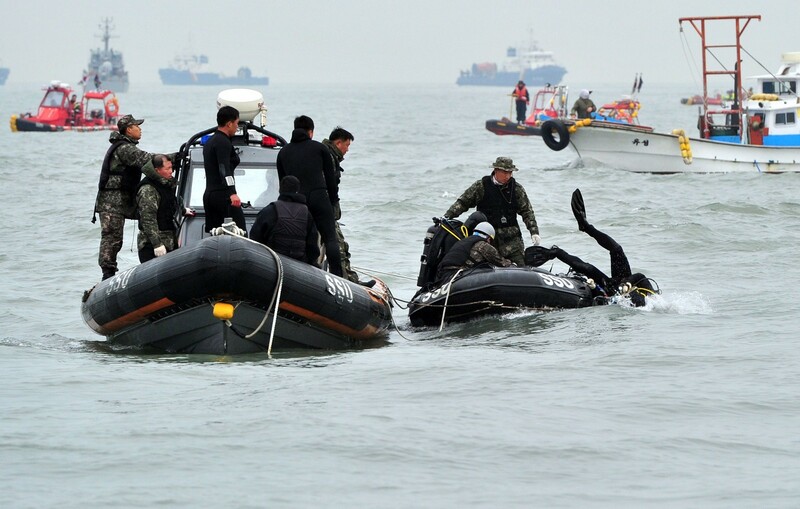 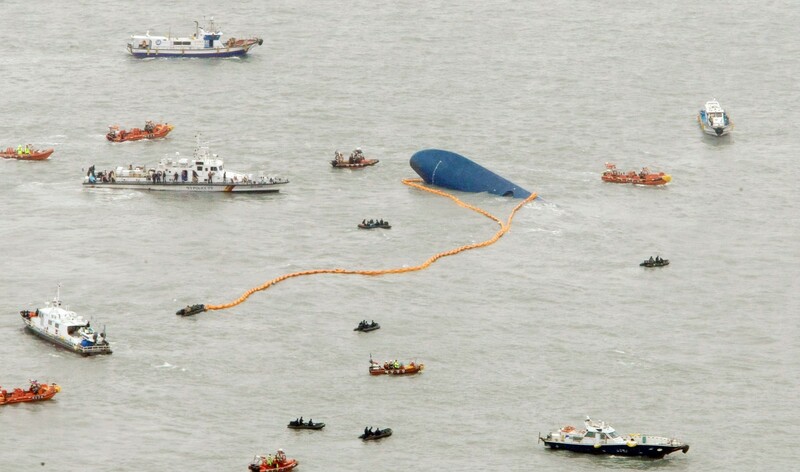 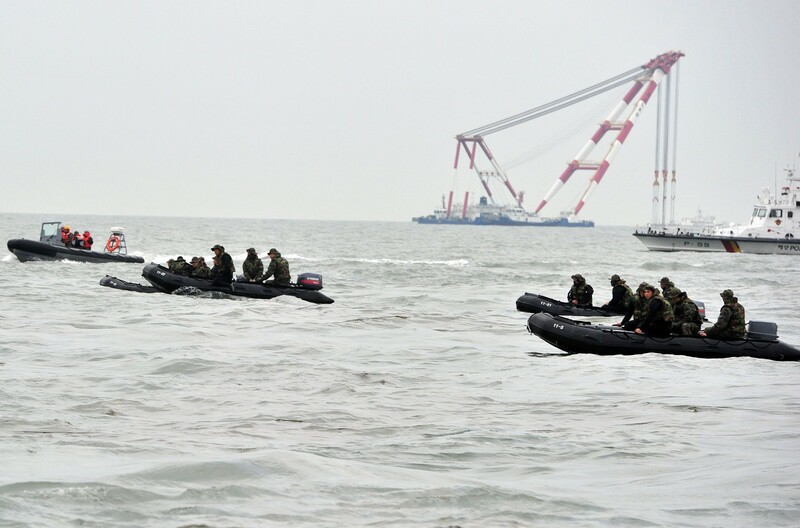 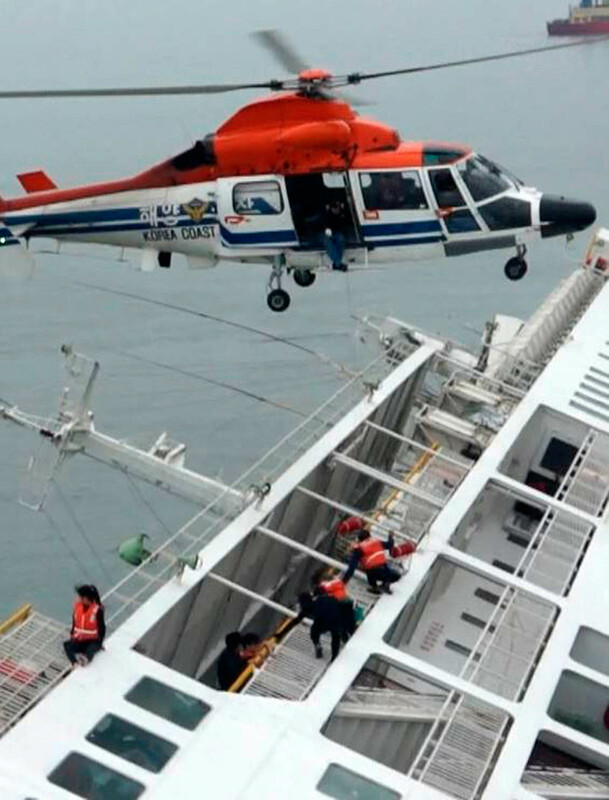 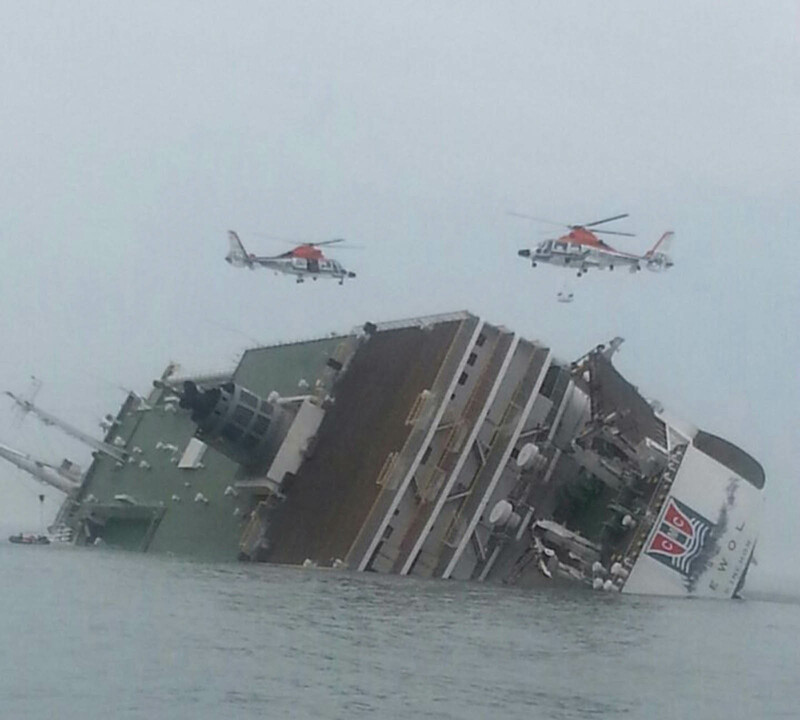 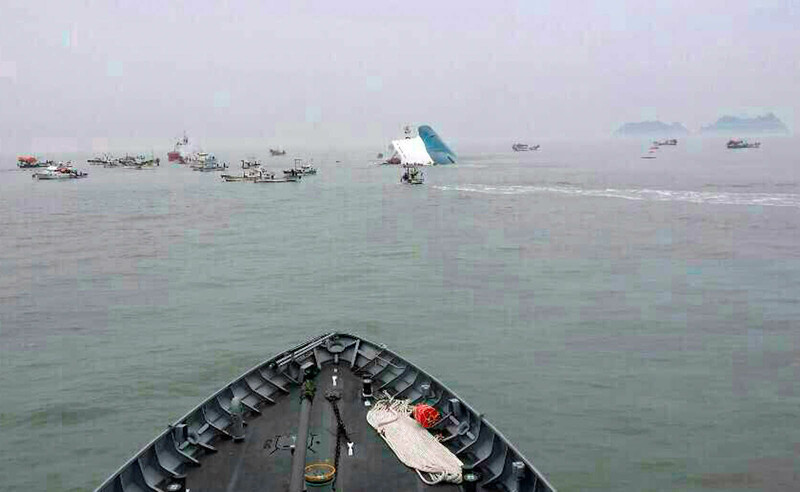 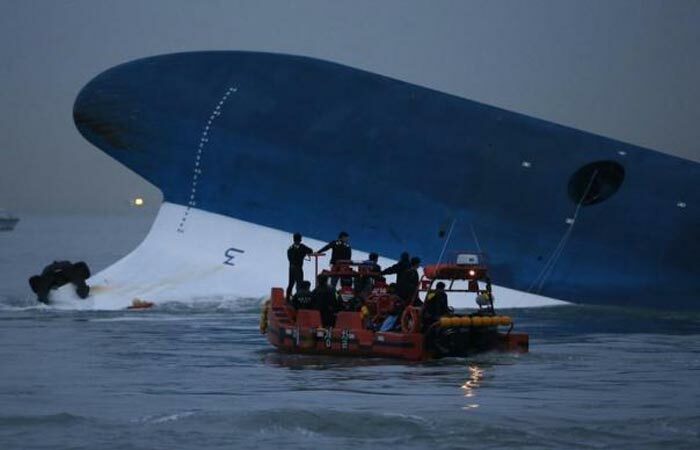 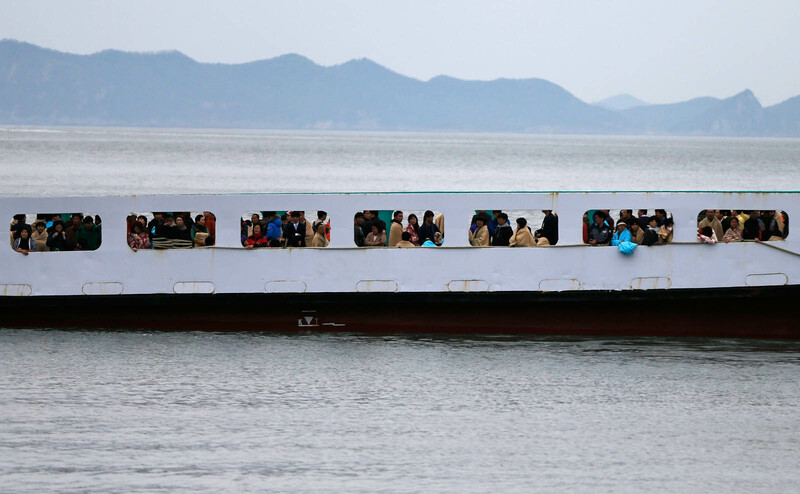 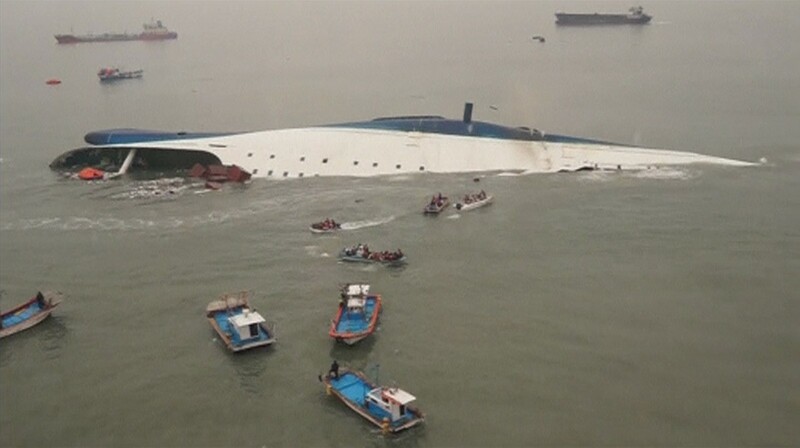 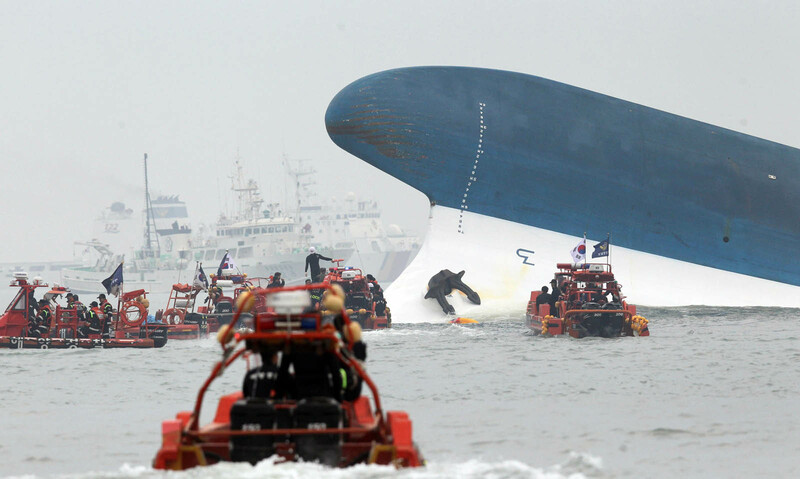 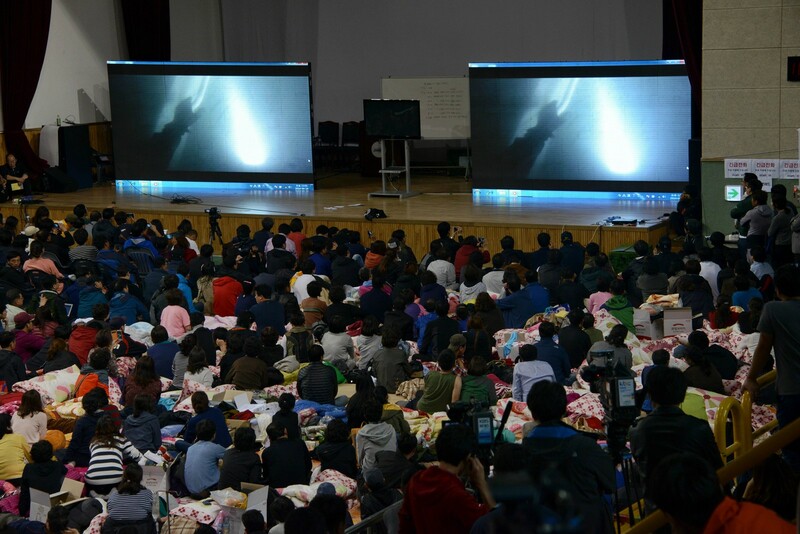 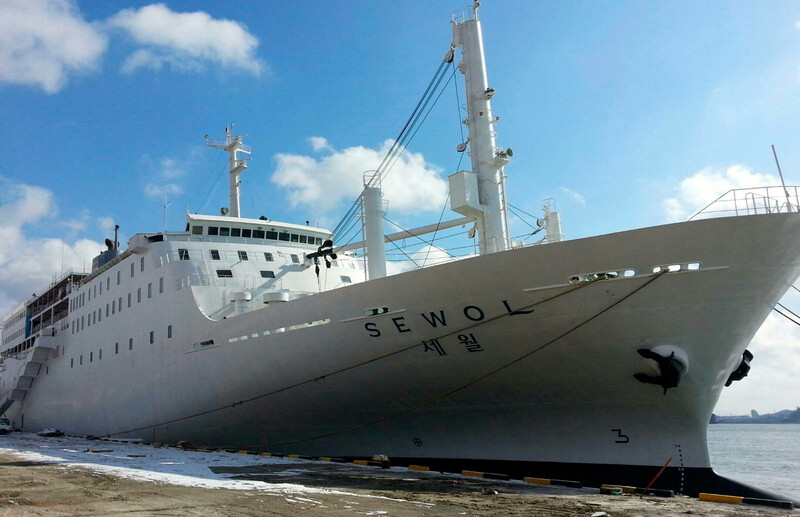 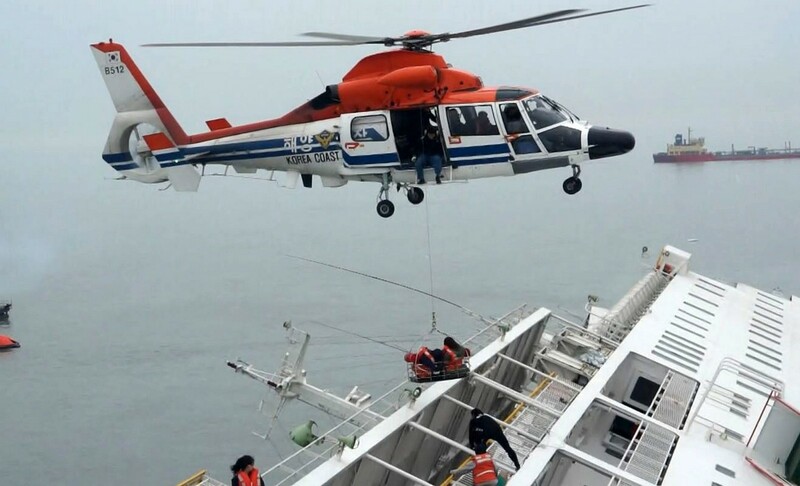 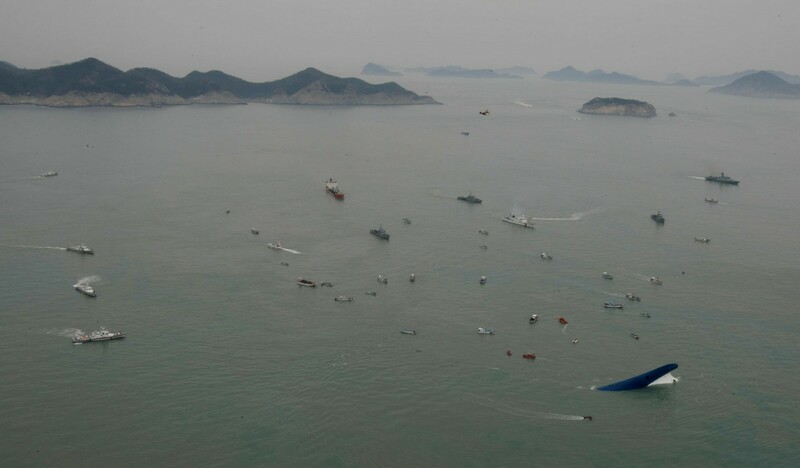 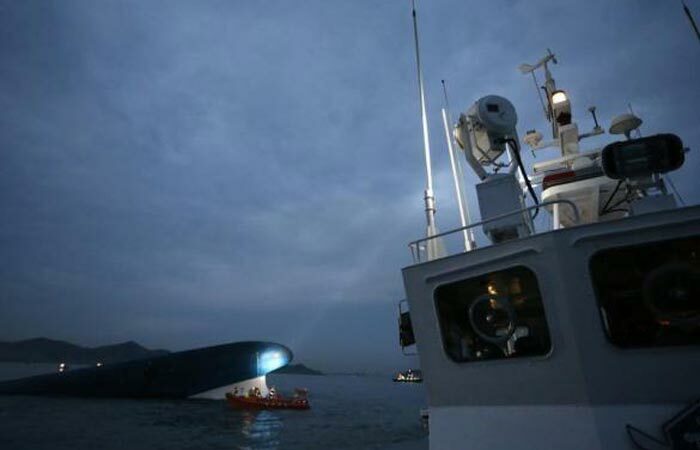 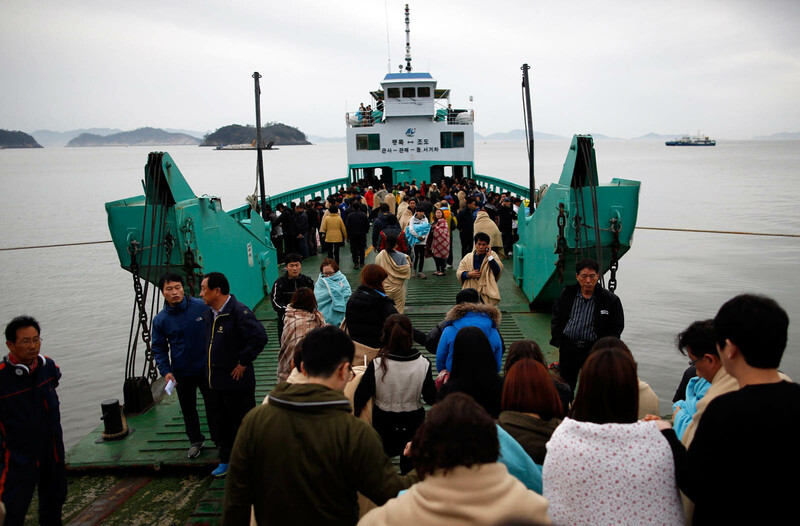 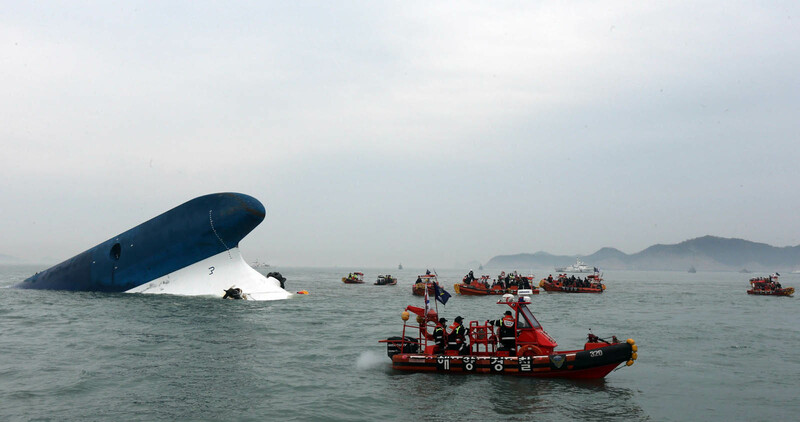 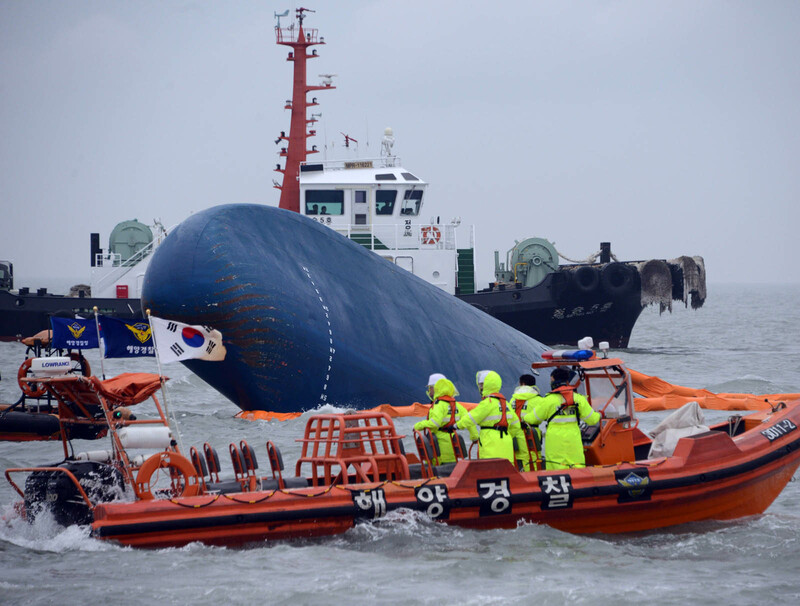 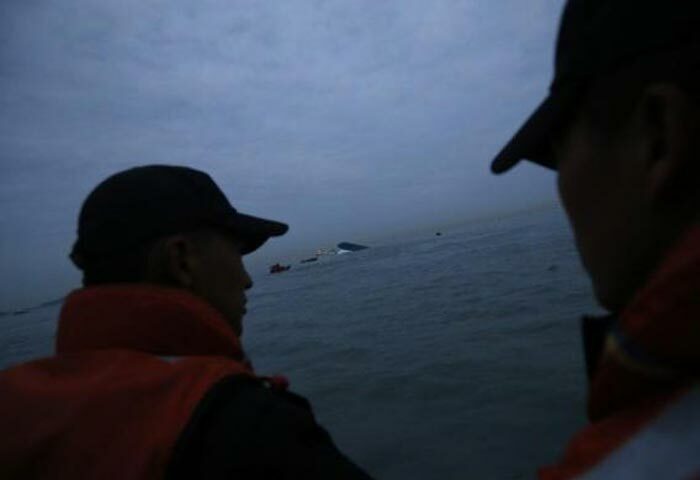 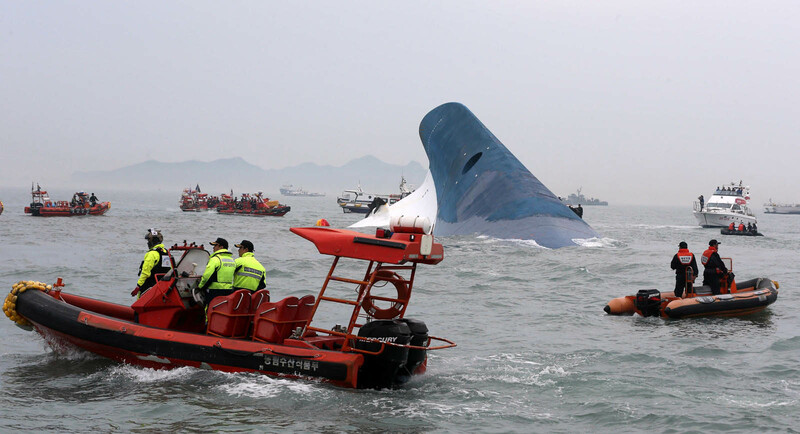 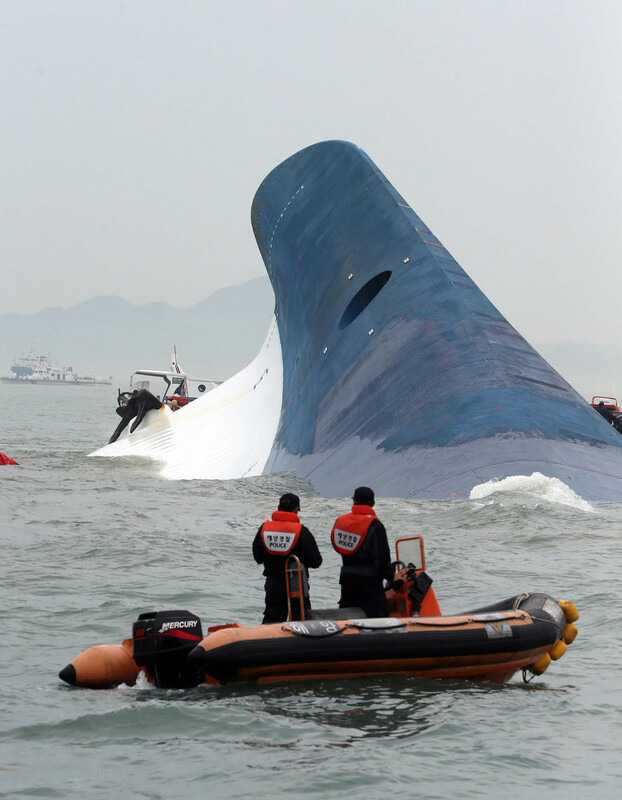 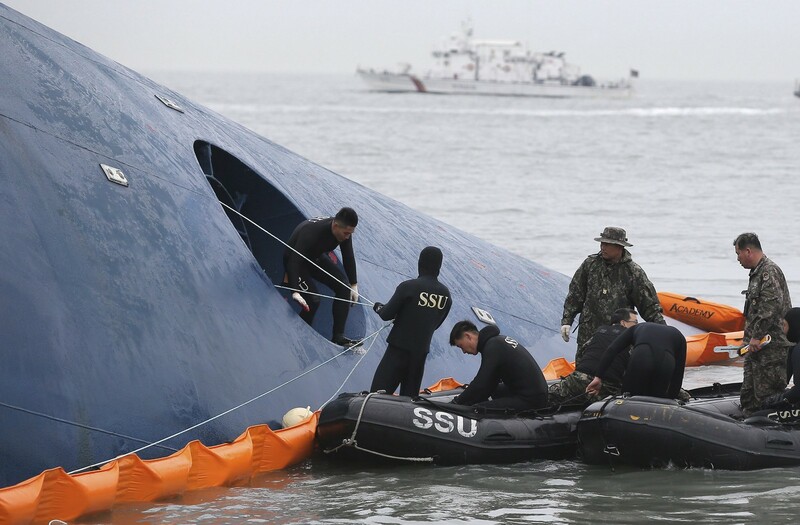 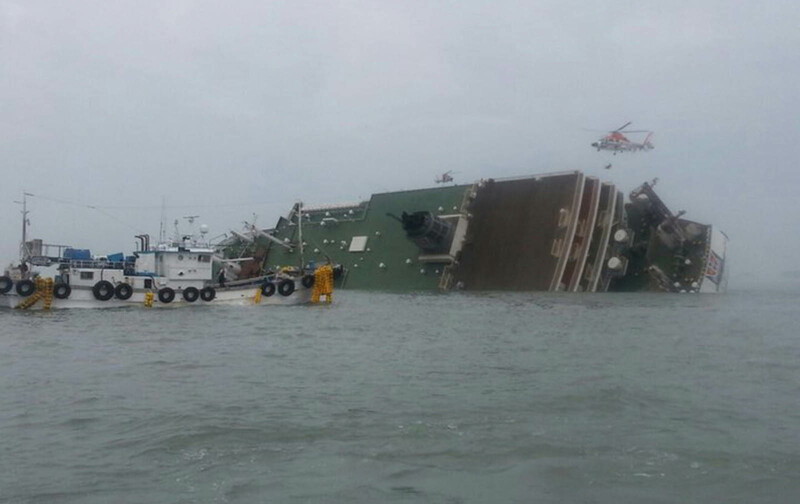 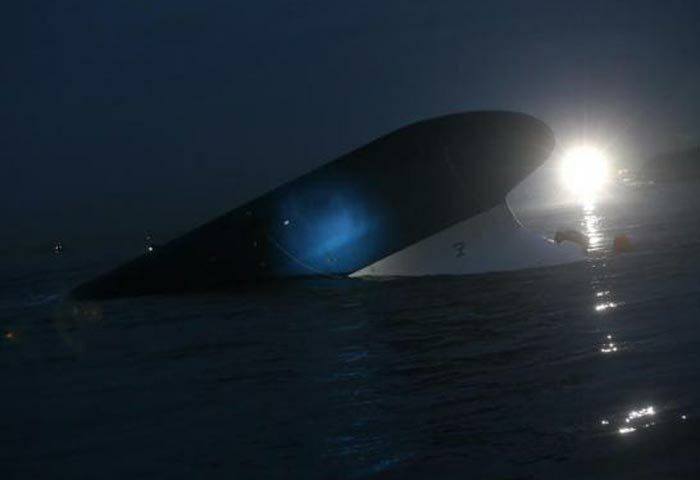 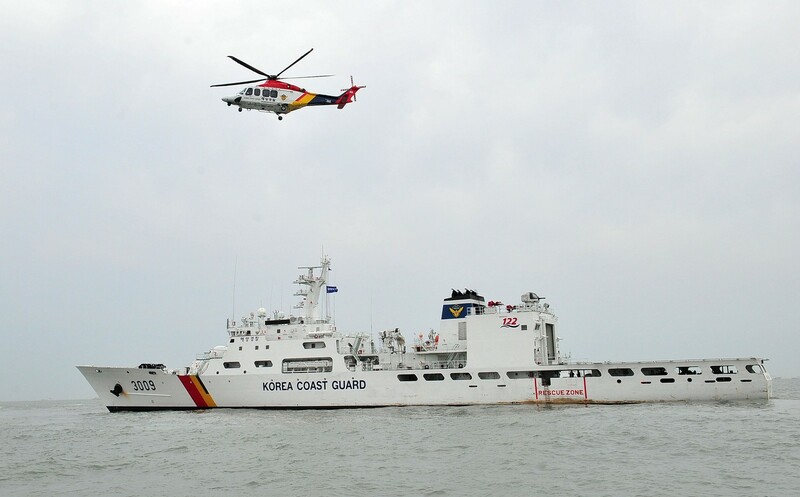 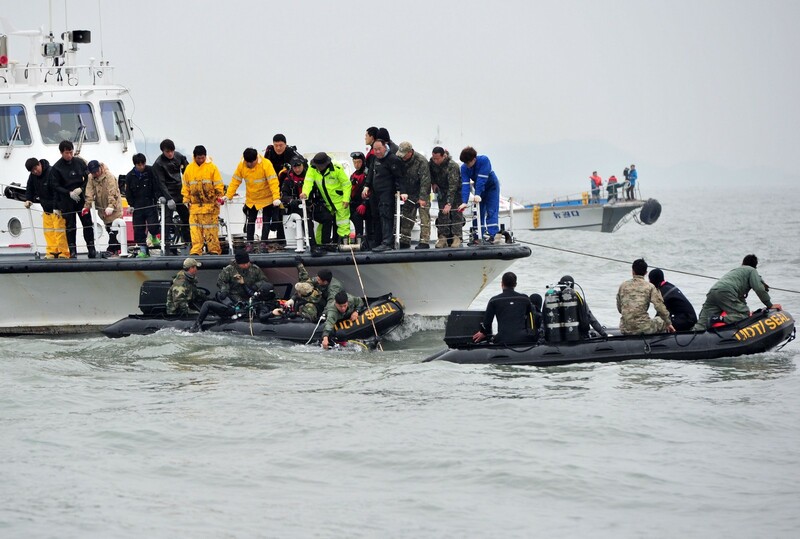 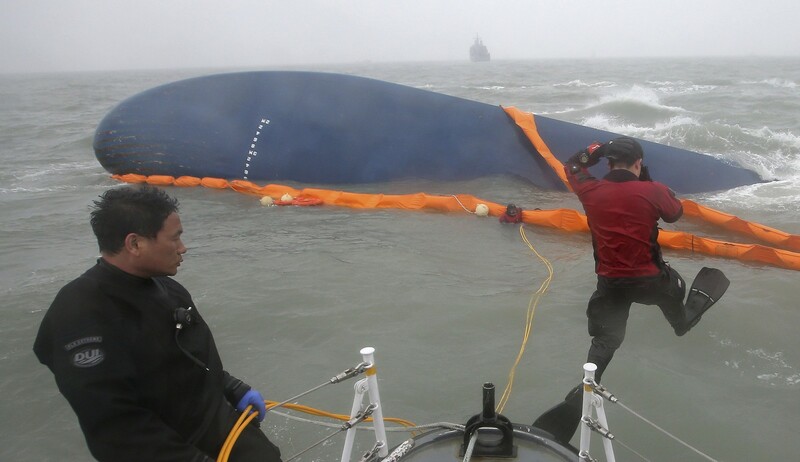 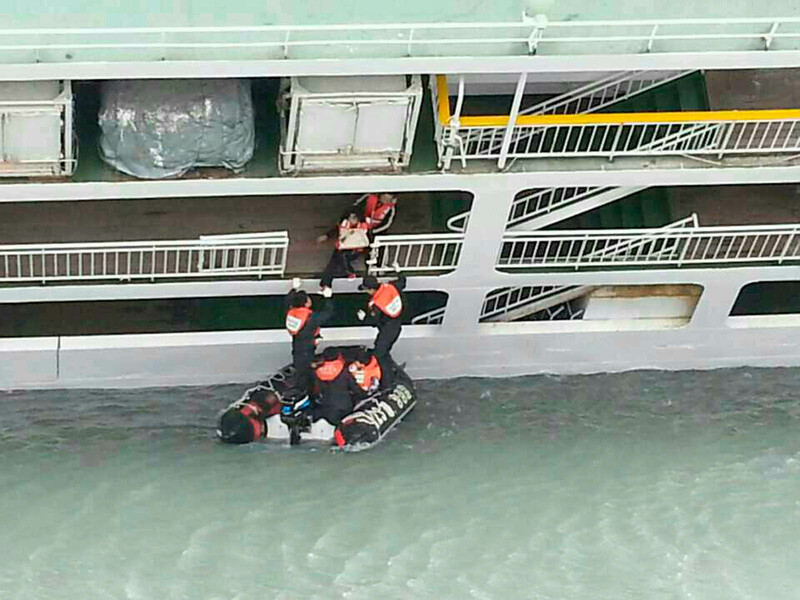 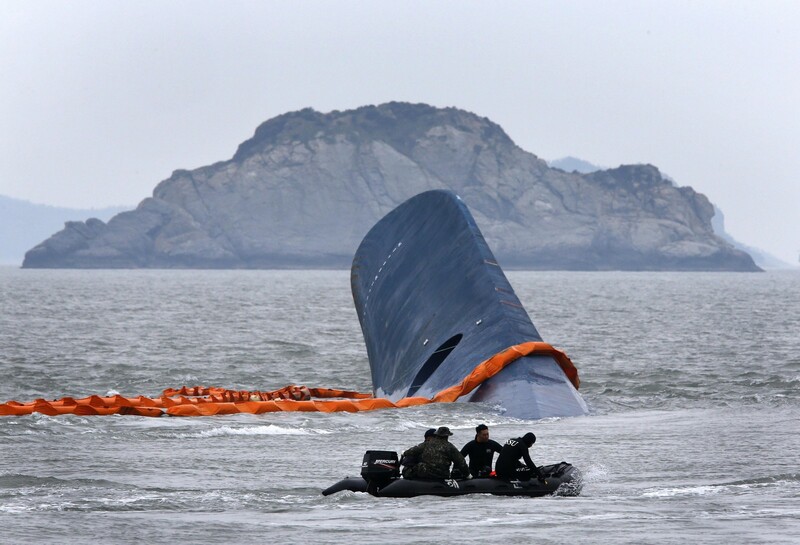 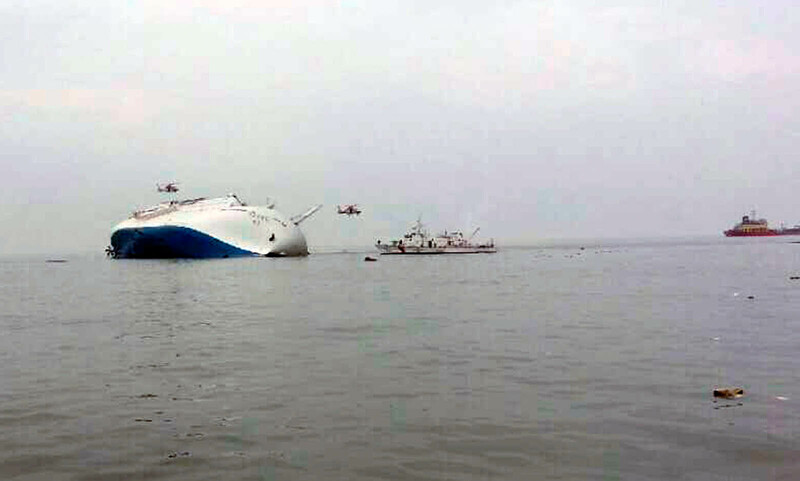 The ferry that capsized off South Korea's southwest coast on Wednesday was carrying 476 passengers, most of them students of Danwon High School in Ansan, south of Seoul. 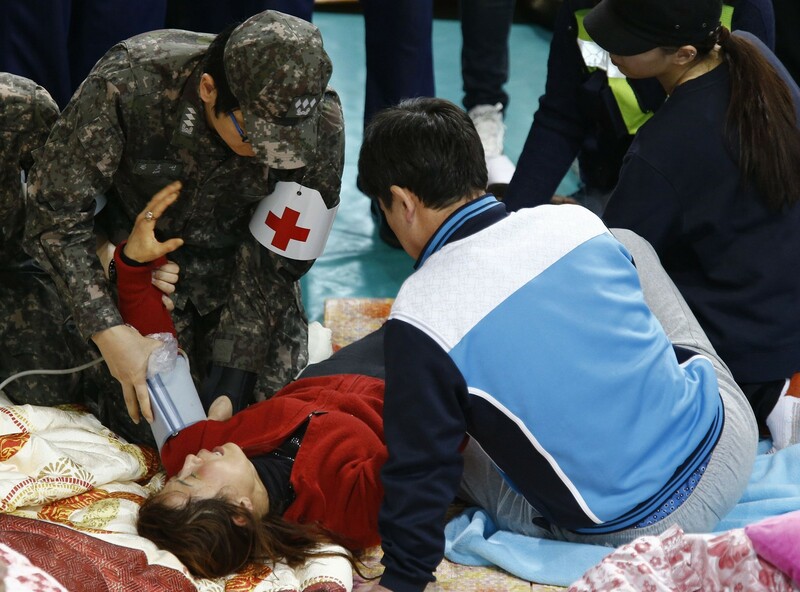 Of the 325 Danwon students, only 75 survived. 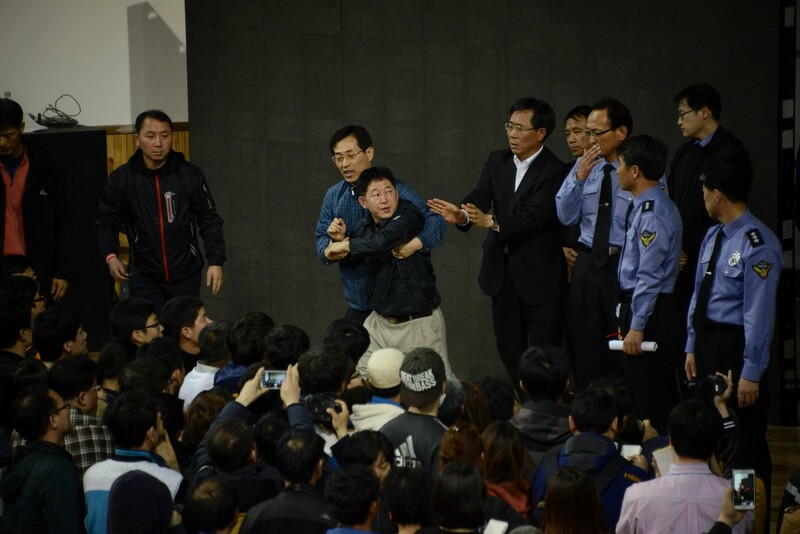 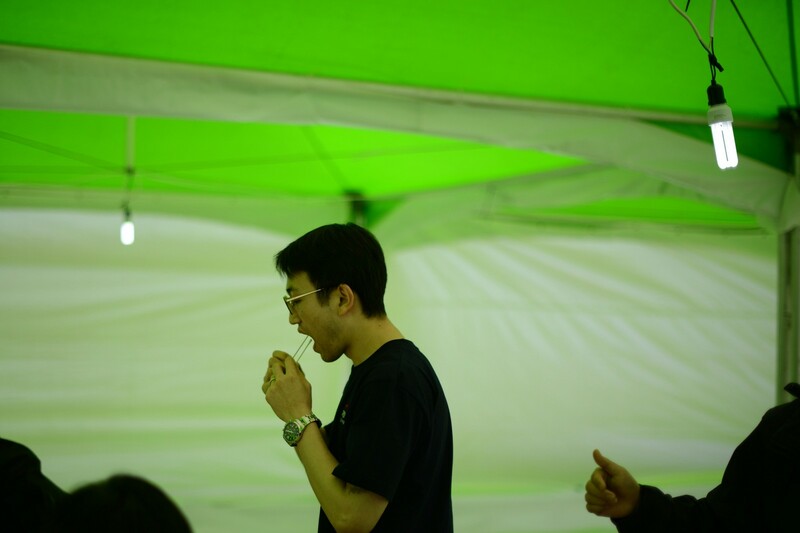 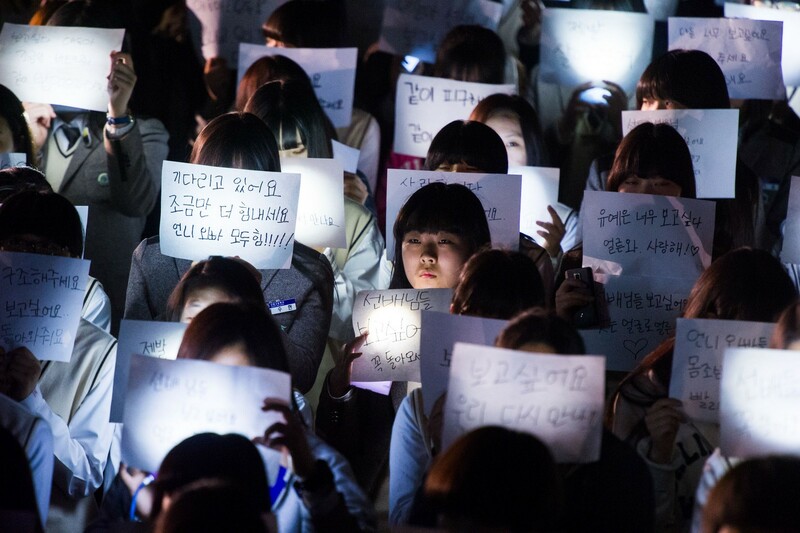 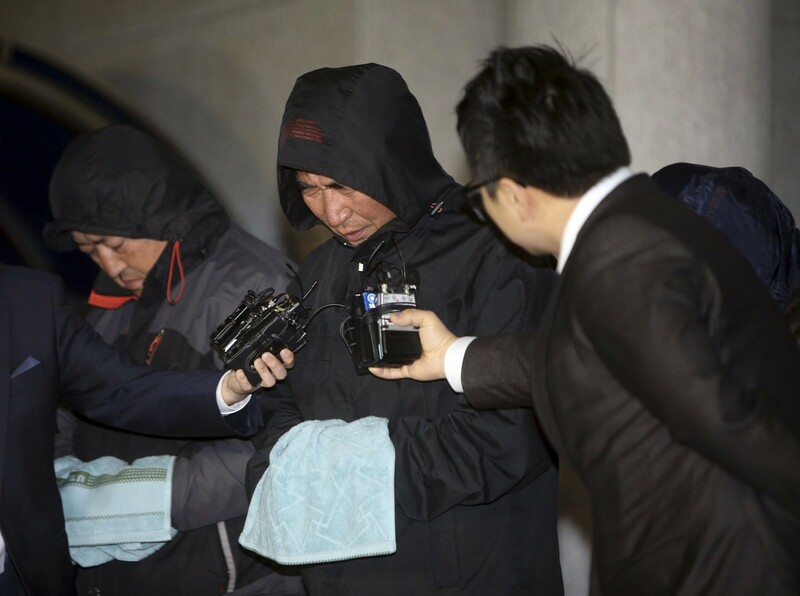 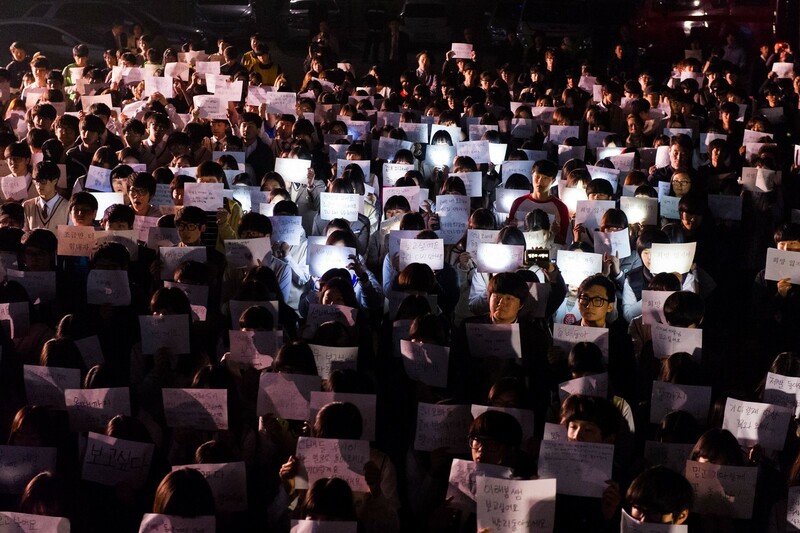 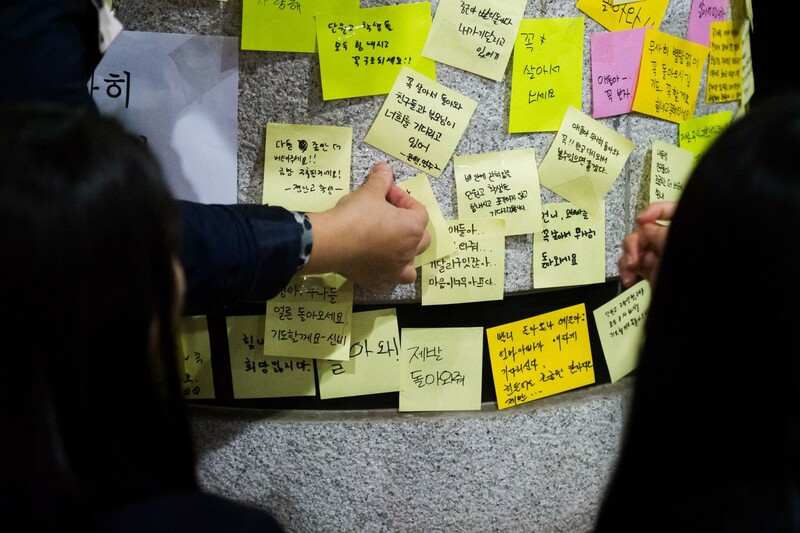 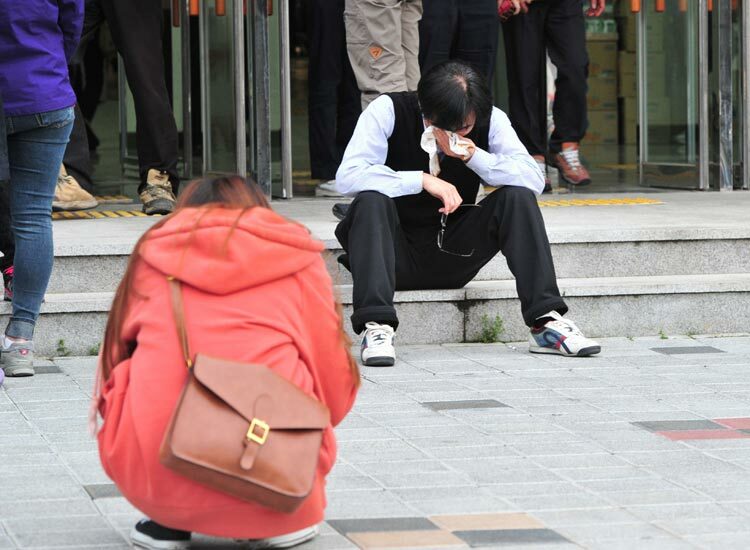 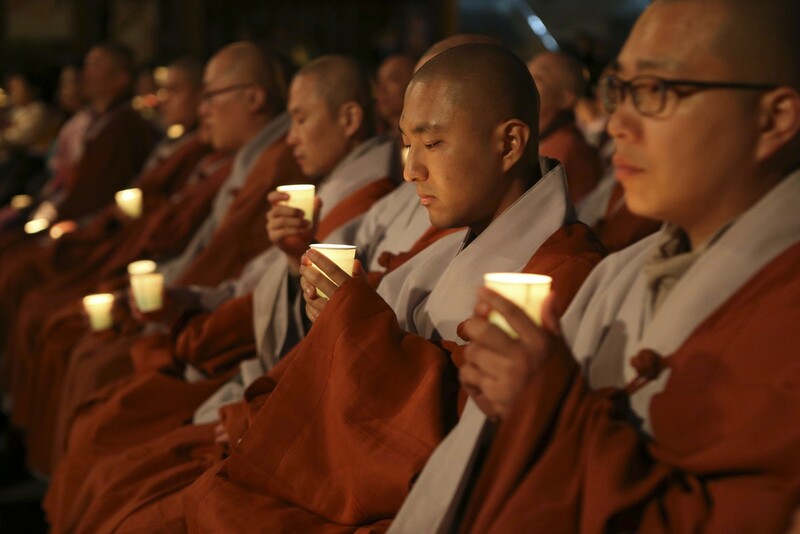 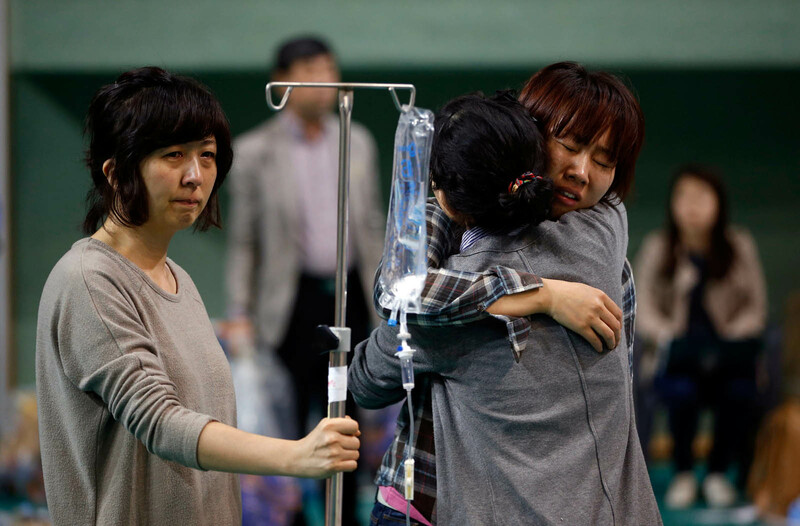 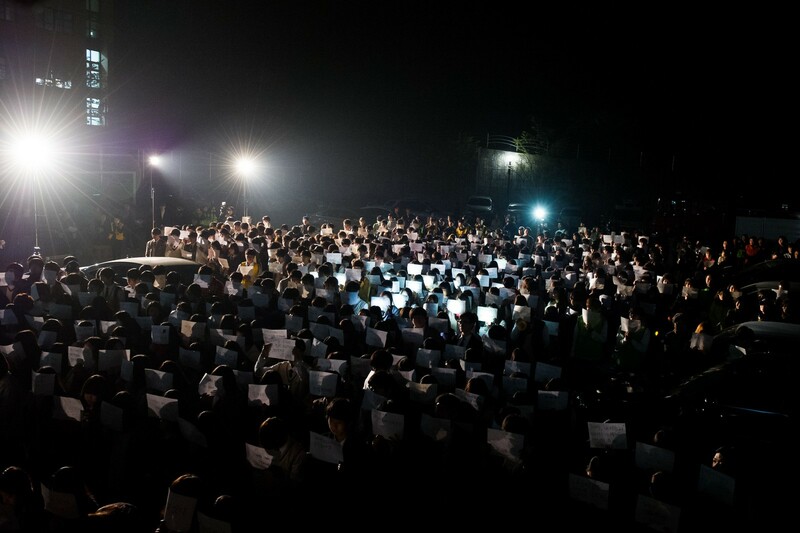 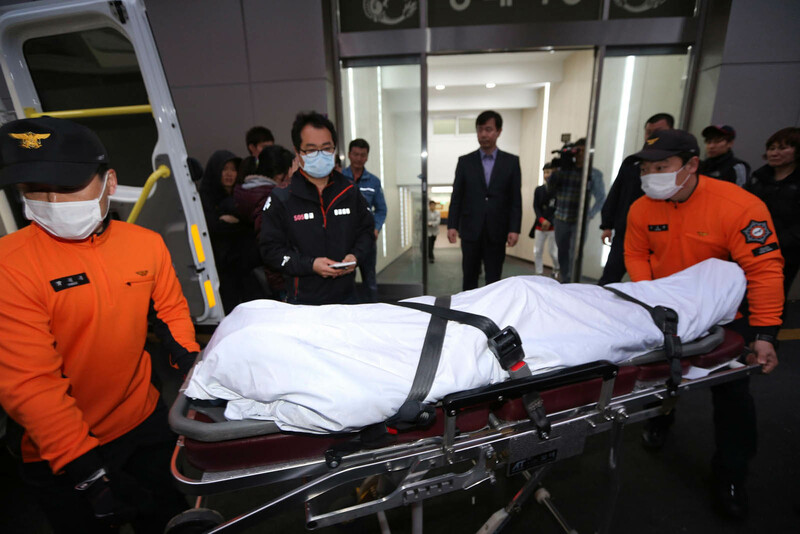 Rage, sorrow and pain filled the funeral services held for five students at Korea University Ansan Hospital in the early morning, with dozens of classmates and relatives attending. 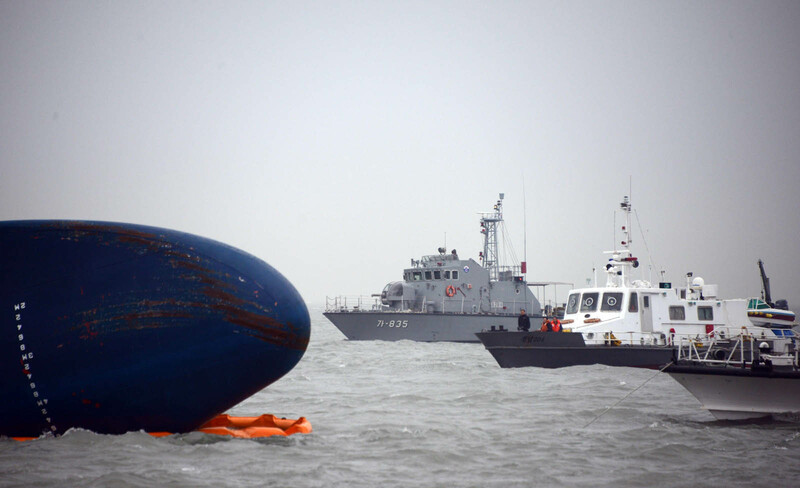 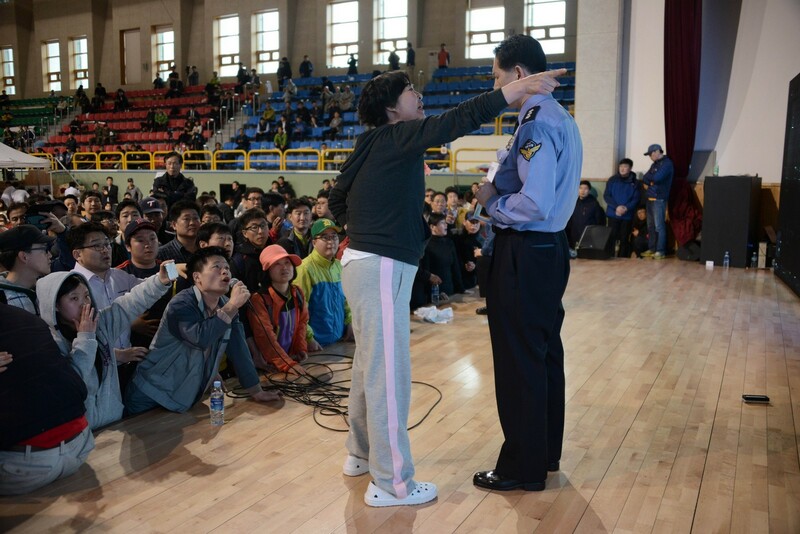 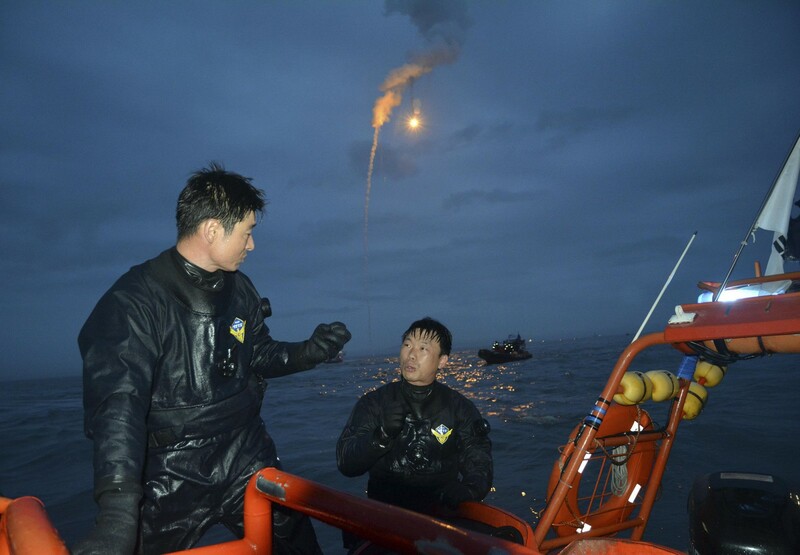 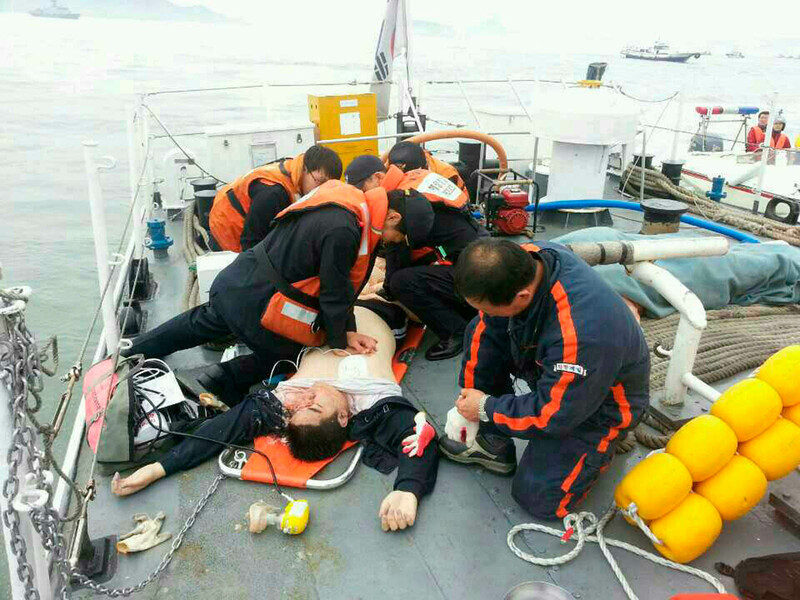 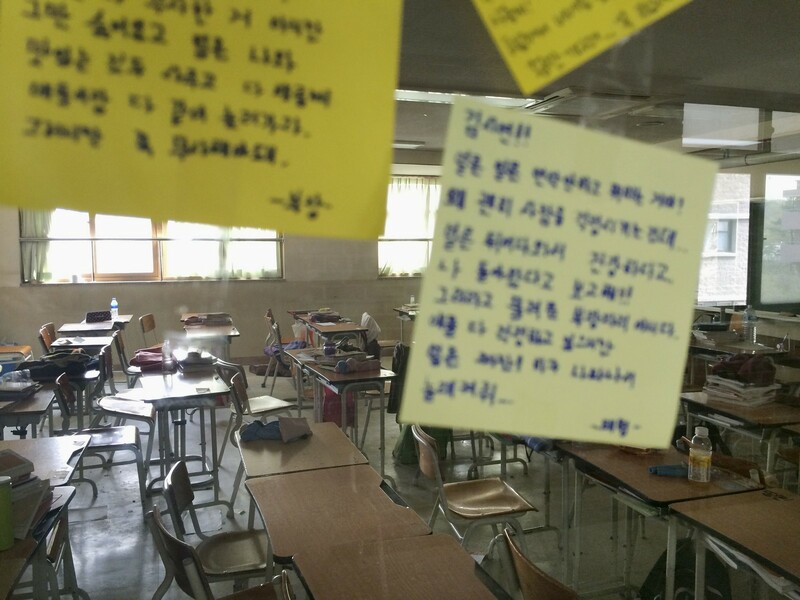 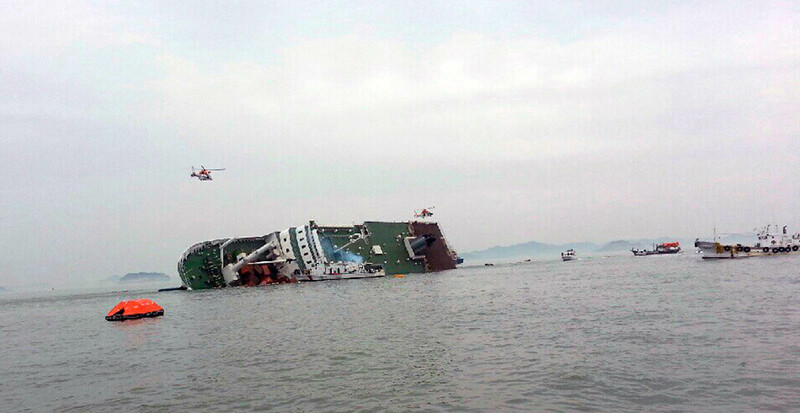 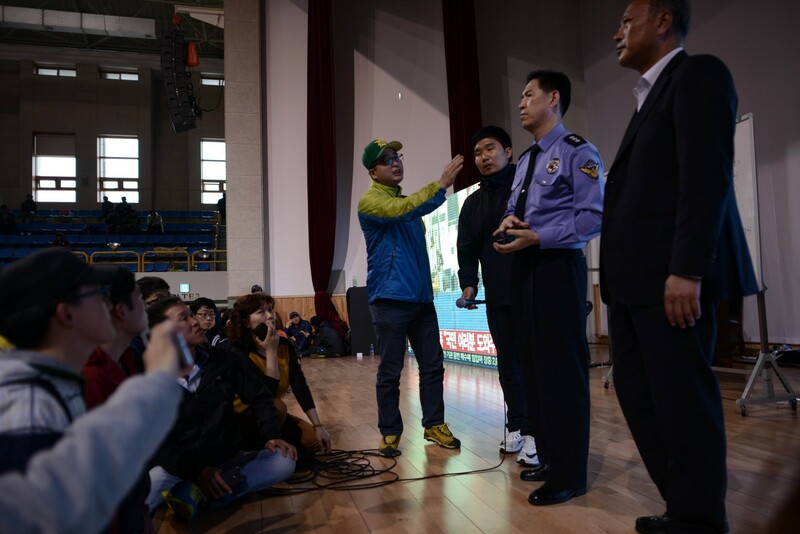 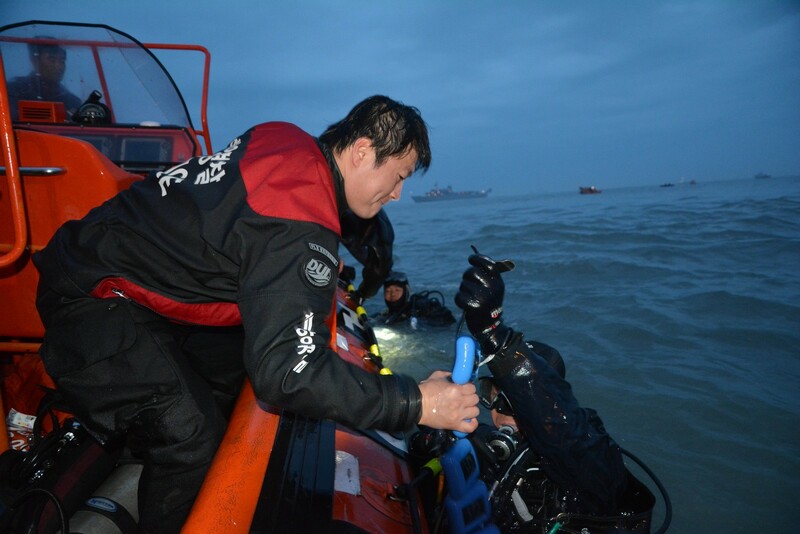 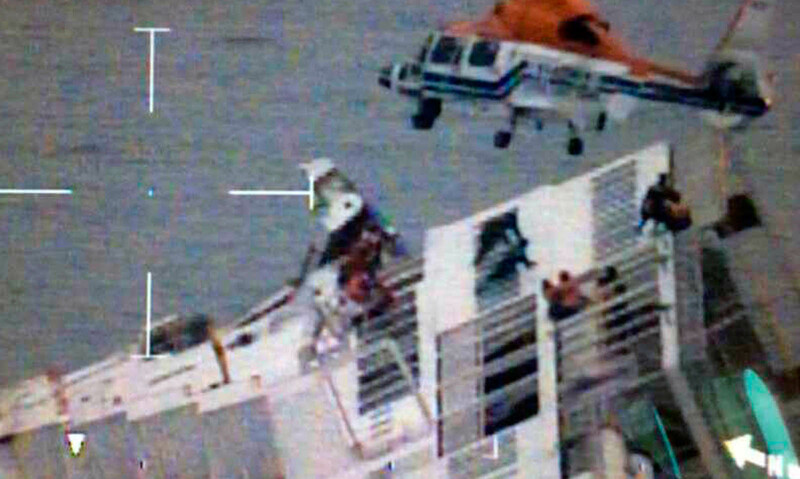 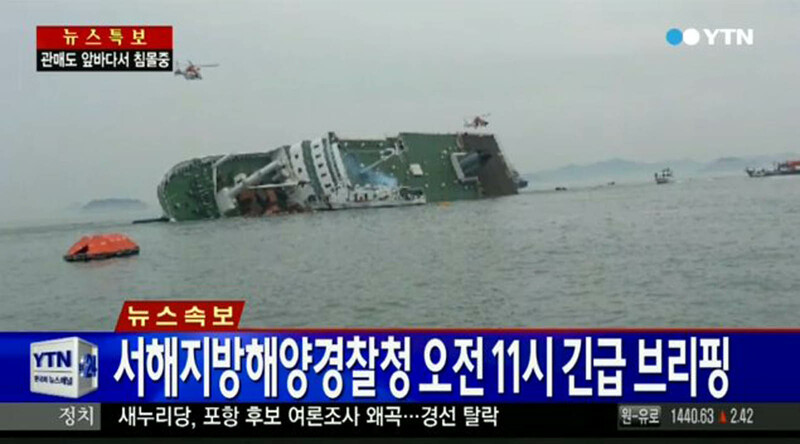 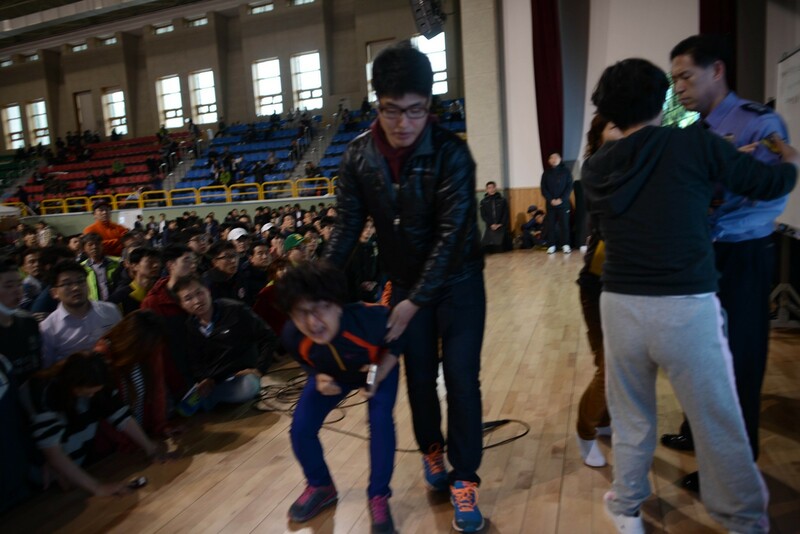 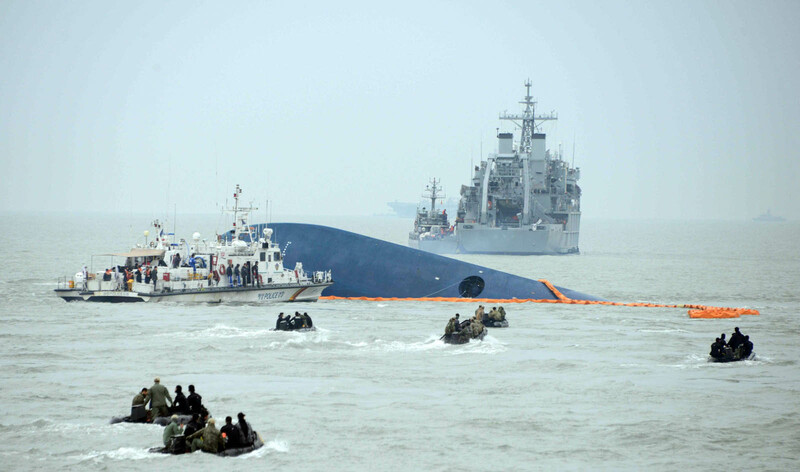 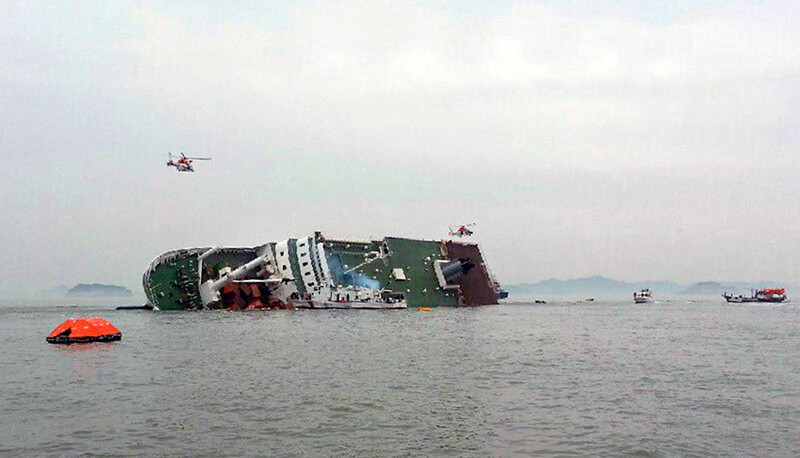 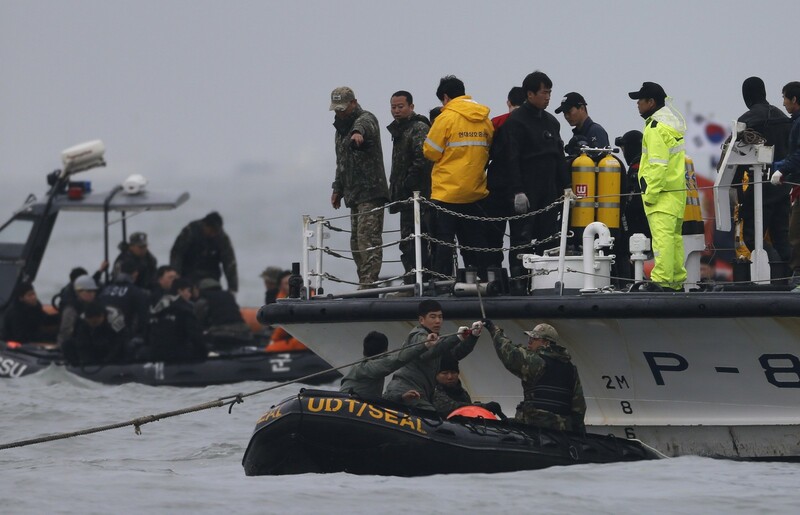 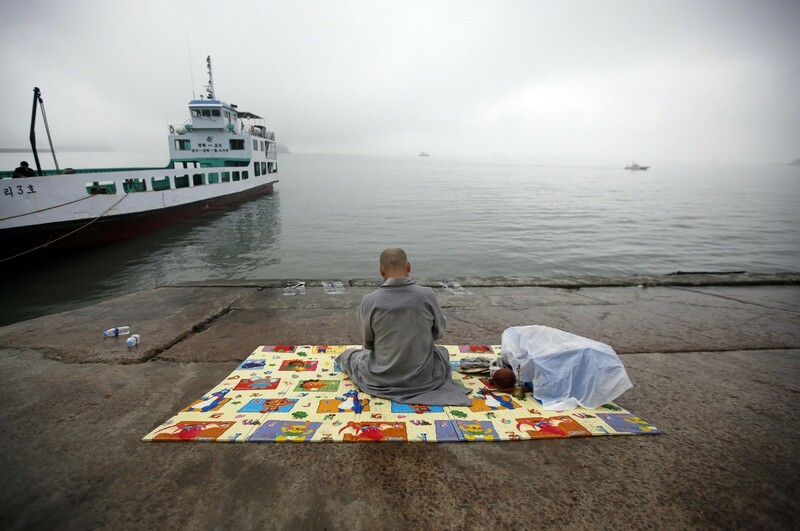 One victim, surnamed Jung, had given his life jacket to a classmate when the ferry was sinking. 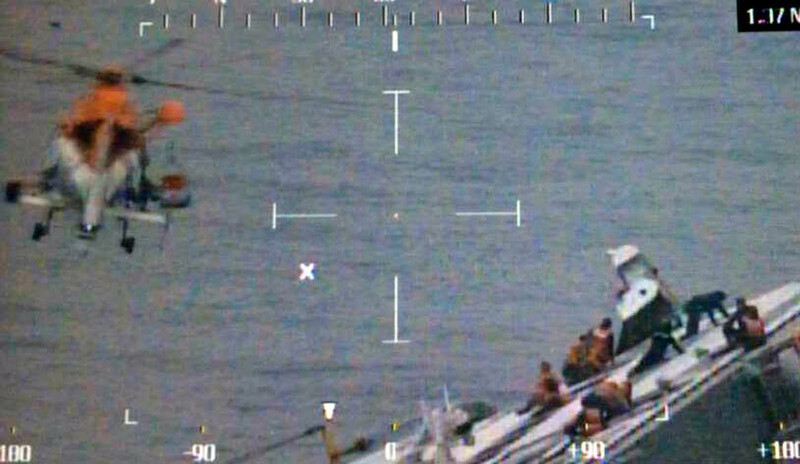 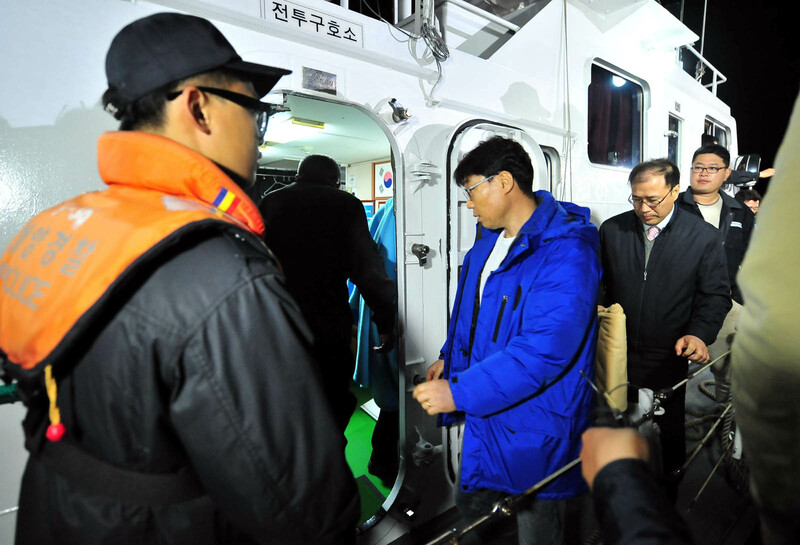 Jung and his friend jumped off the ship together, but only the friend survived, the surviving friend told the media. 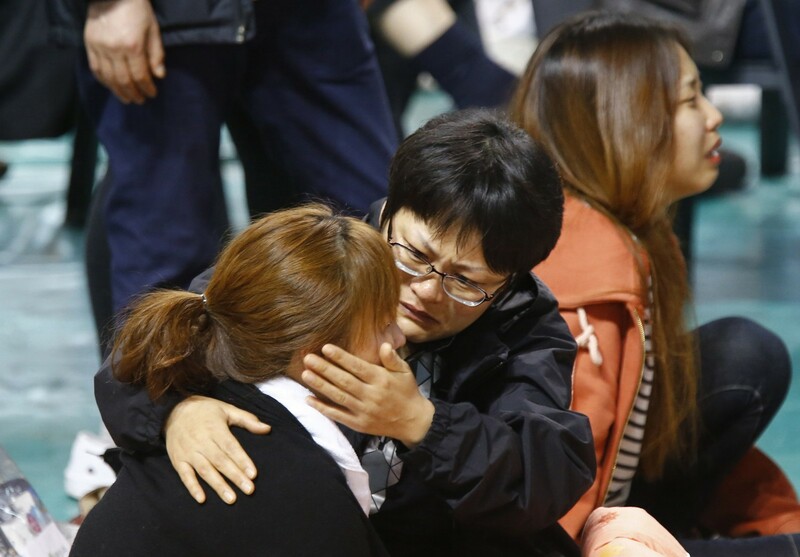 The mother of another victim clung onto a hearse and wailed, begging her daughter to return. 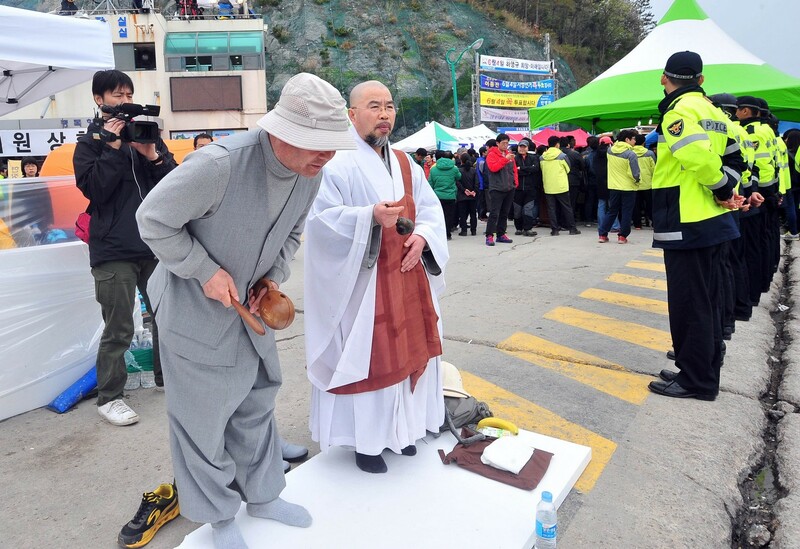 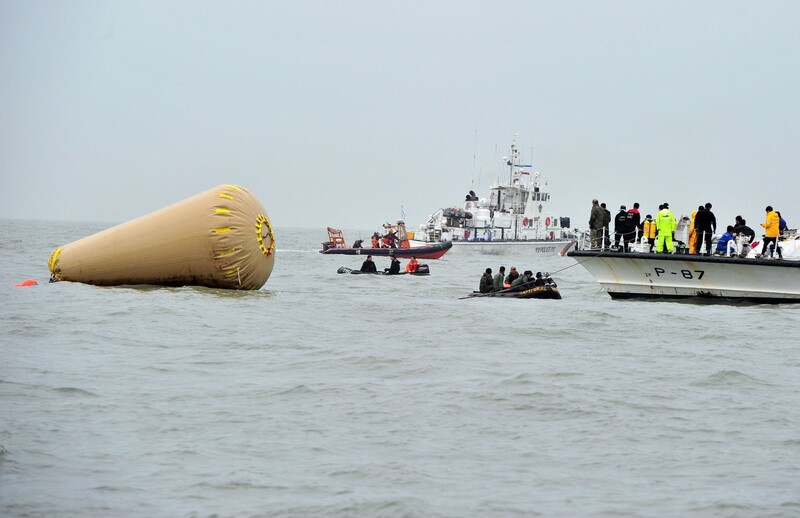 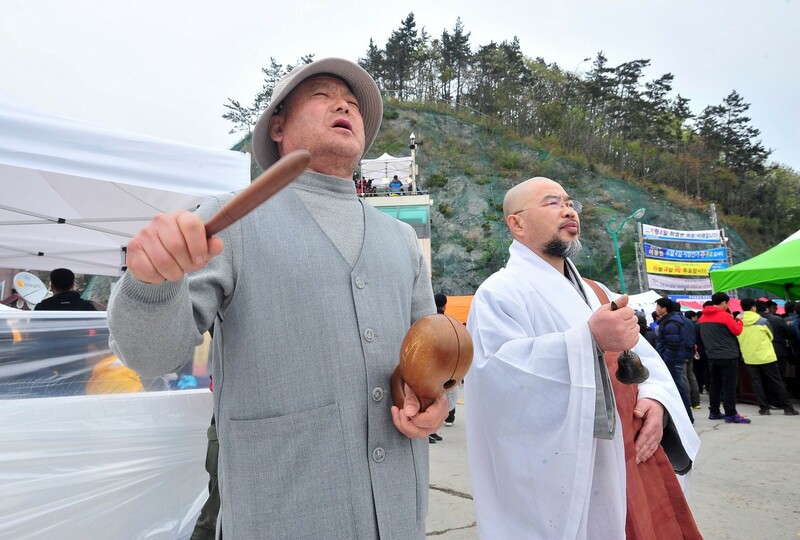 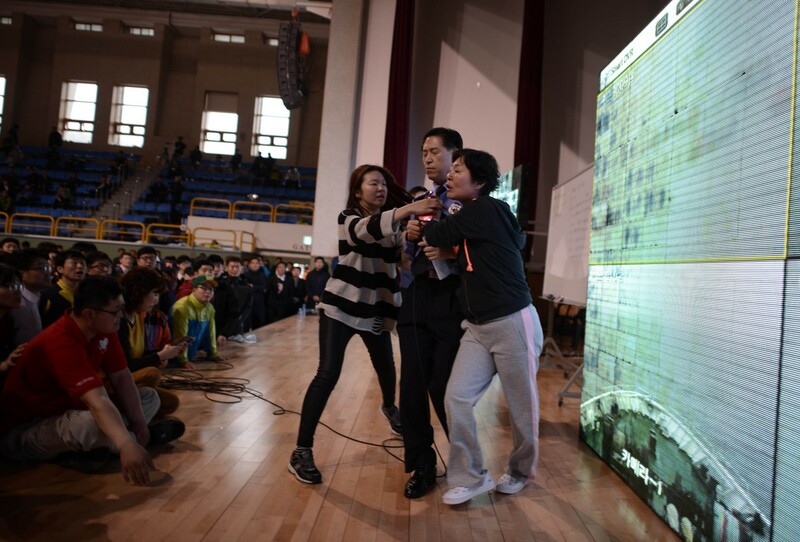 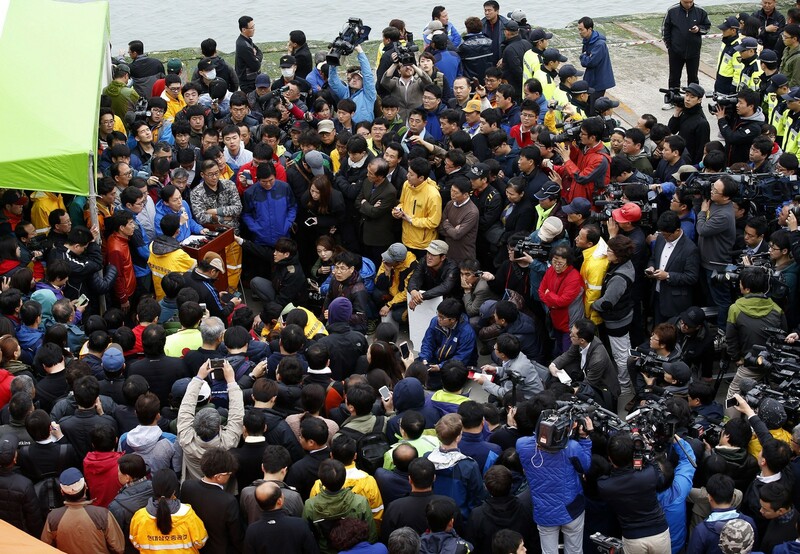 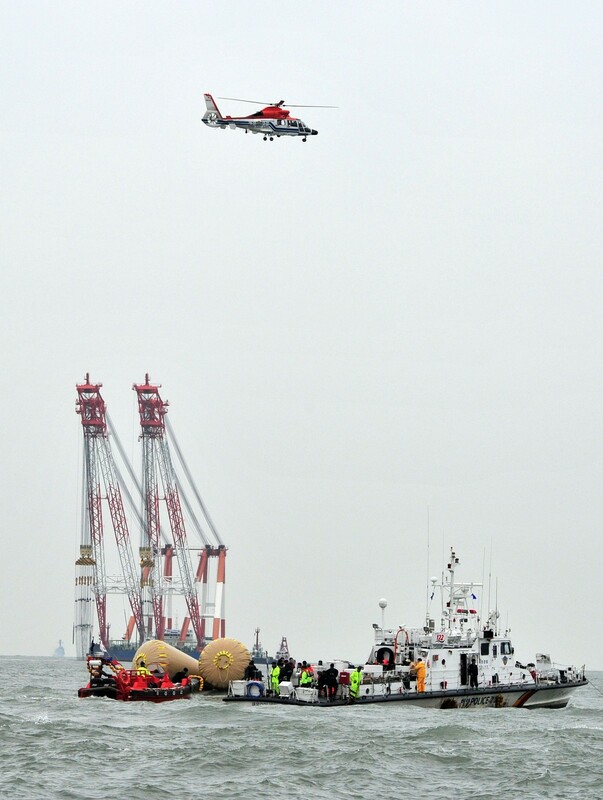 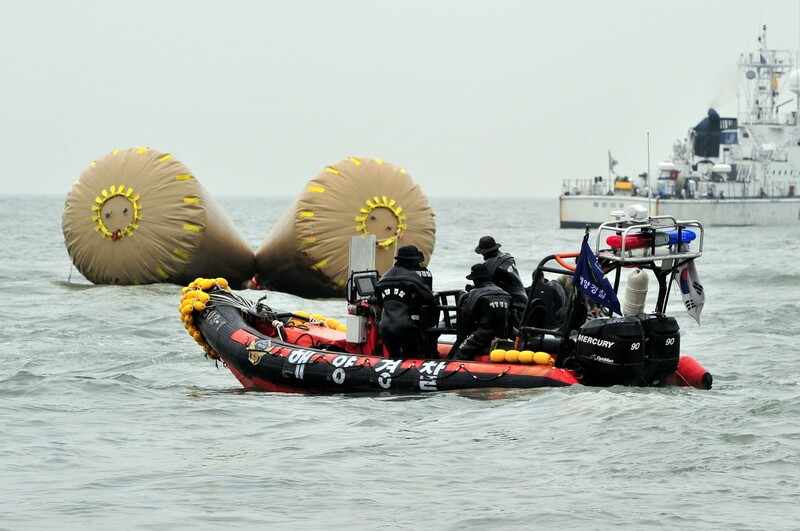 A separate funeral service for a Sewol crew member who risked her life to save passengers was held in Incheon, the ferry's point of departure. 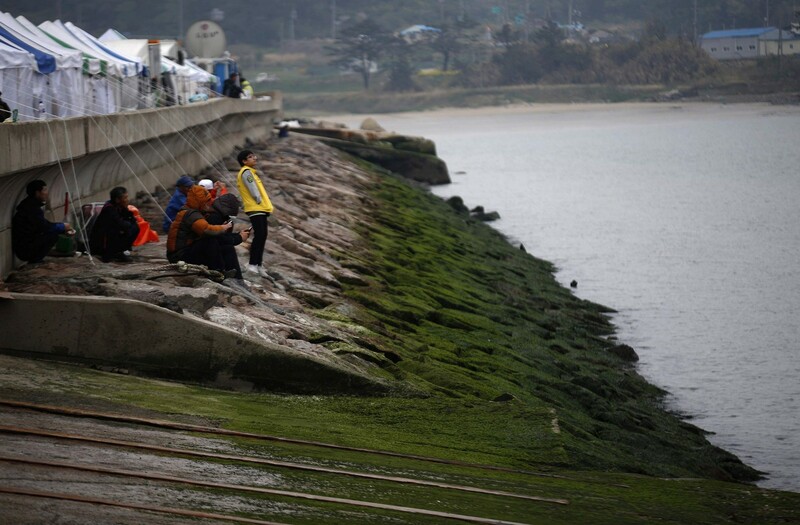 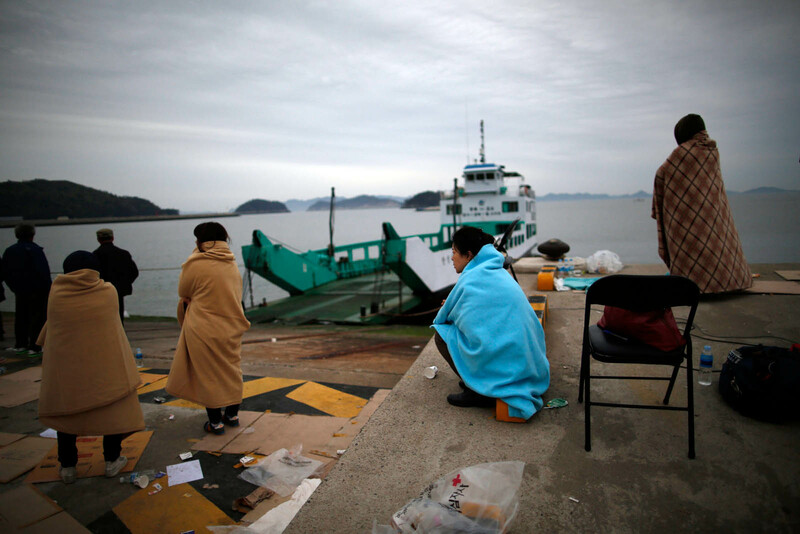 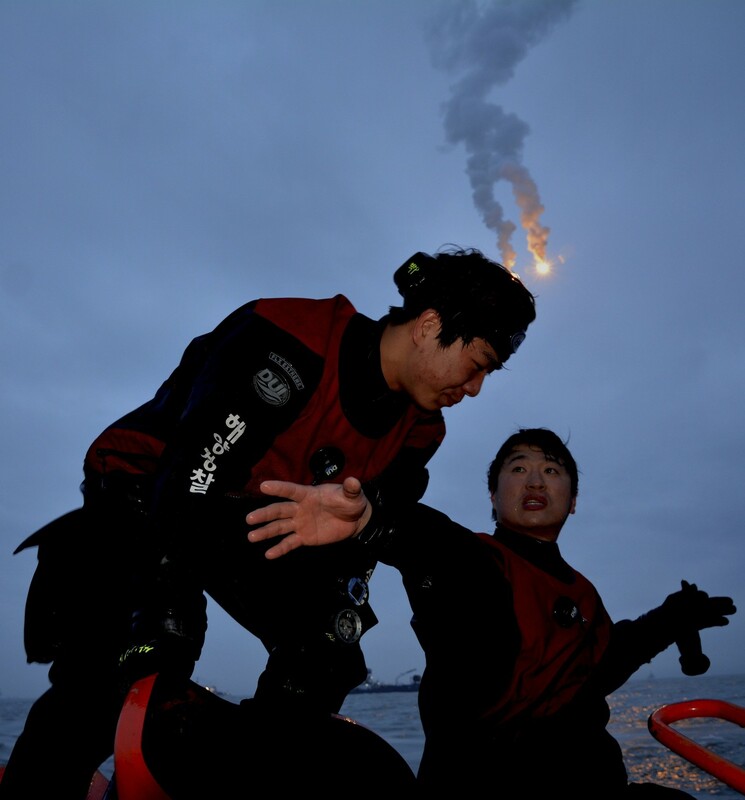 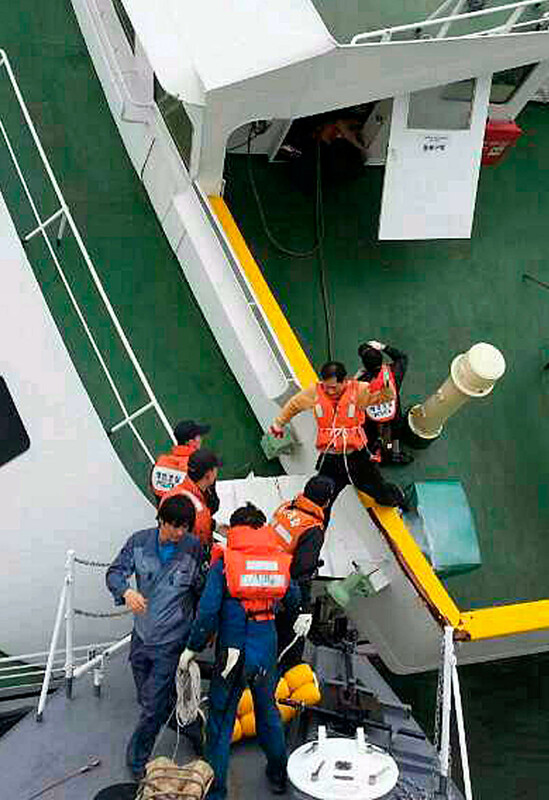 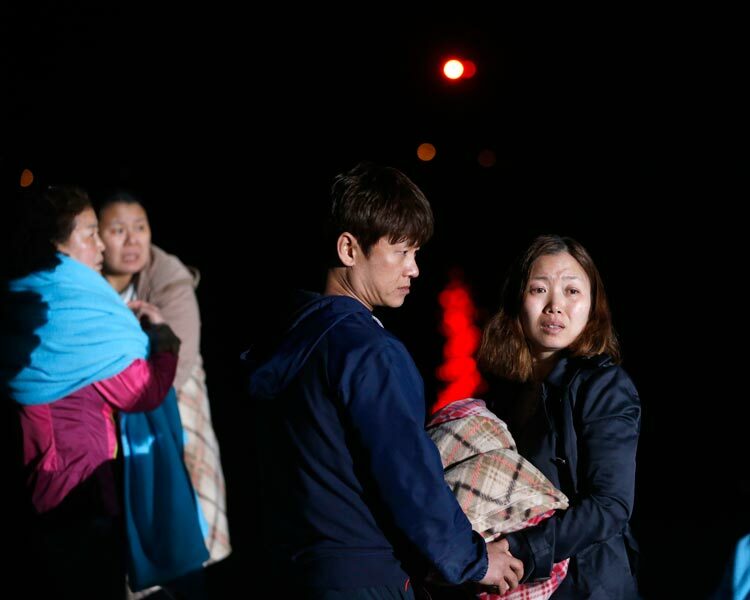 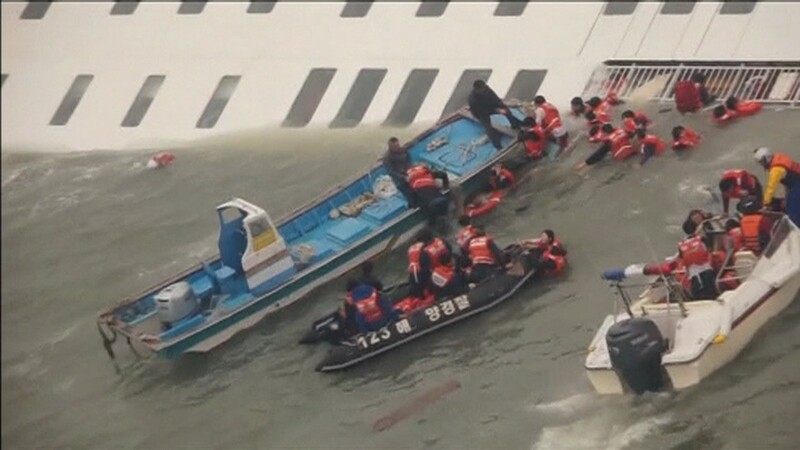 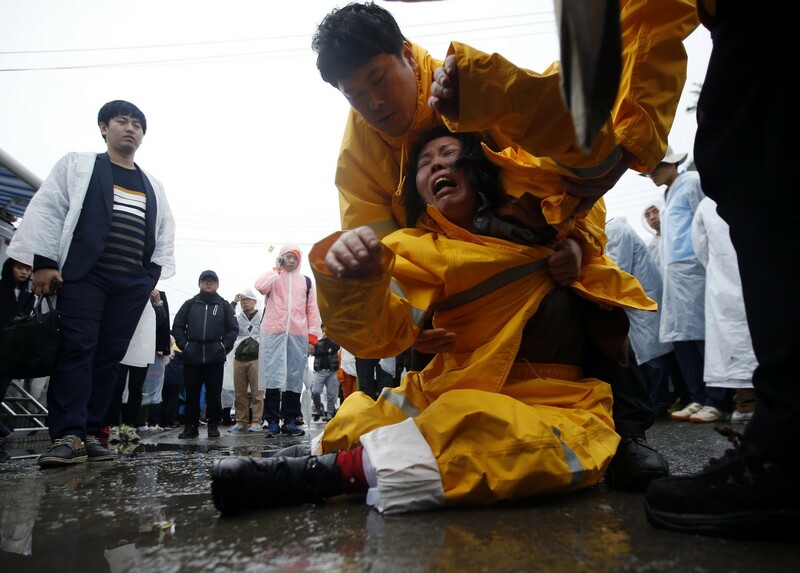 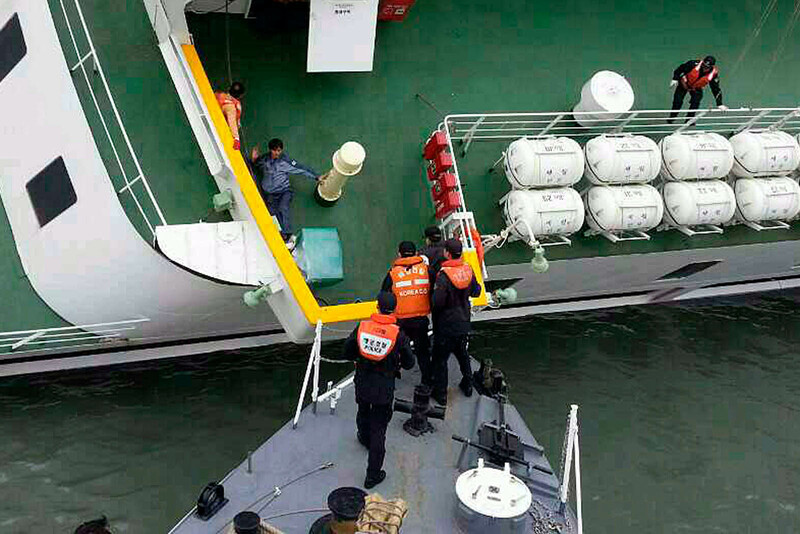 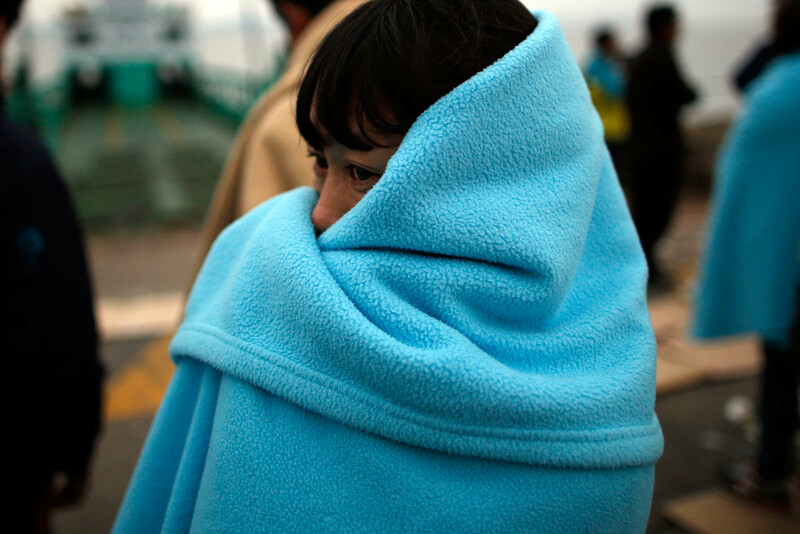 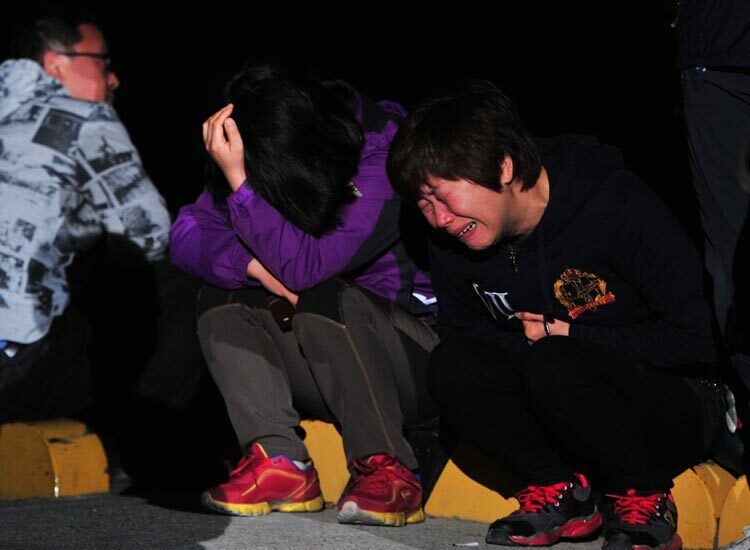 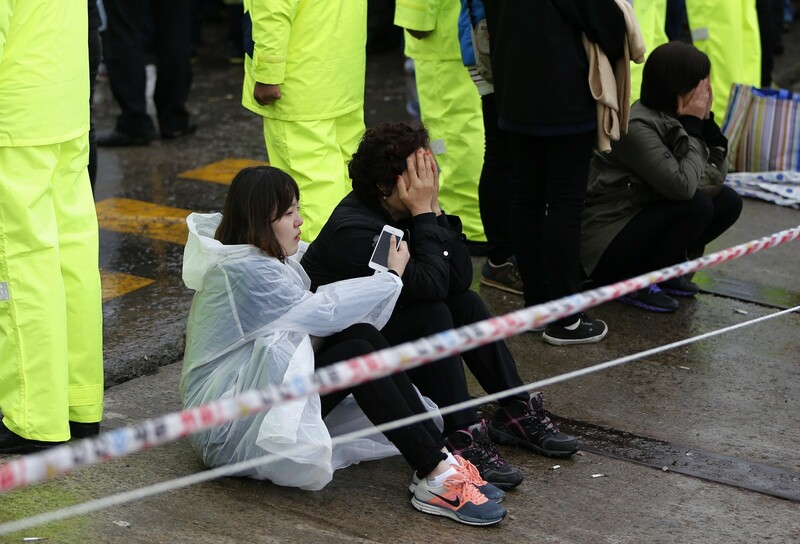 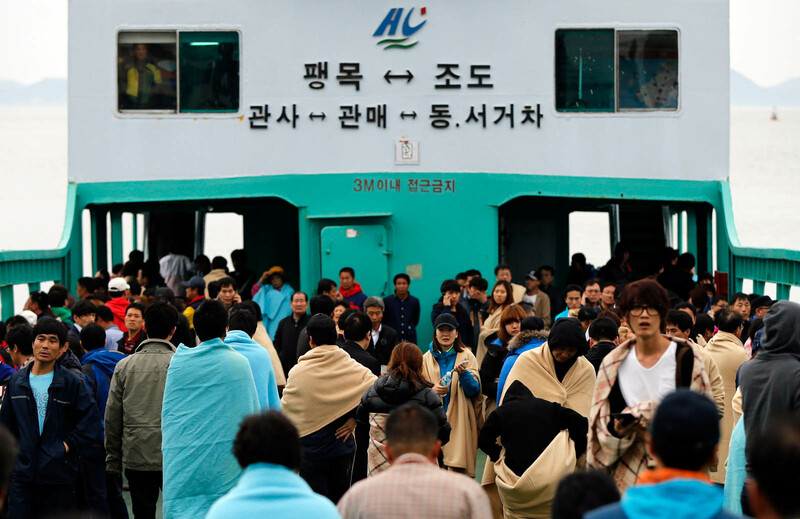 Working on the ferry as a part-time employee, Park Ji-young, 22, helped teenage passengers escape the ferry first, without a life jacket, survivors reported. 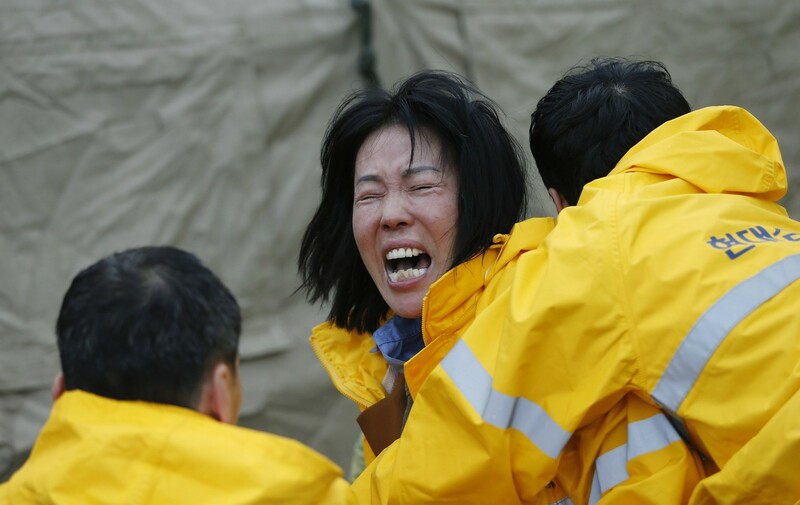 Park had said she would make her way out after others were rescued, they added. 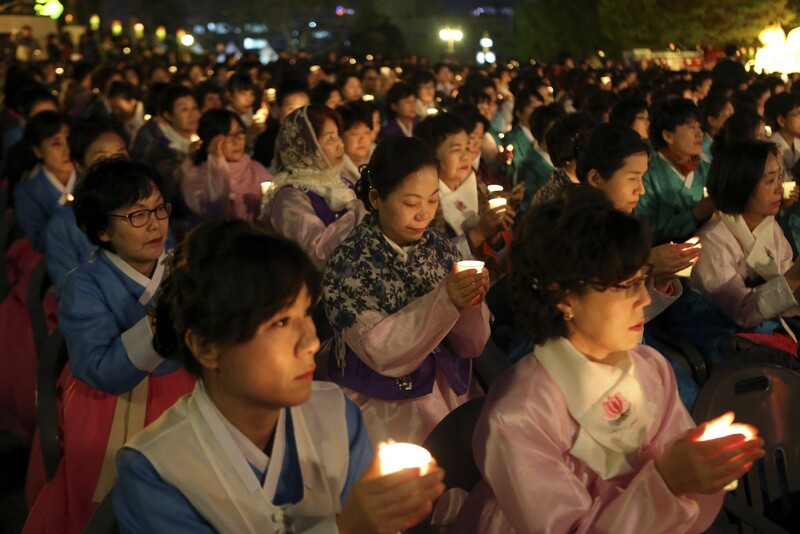 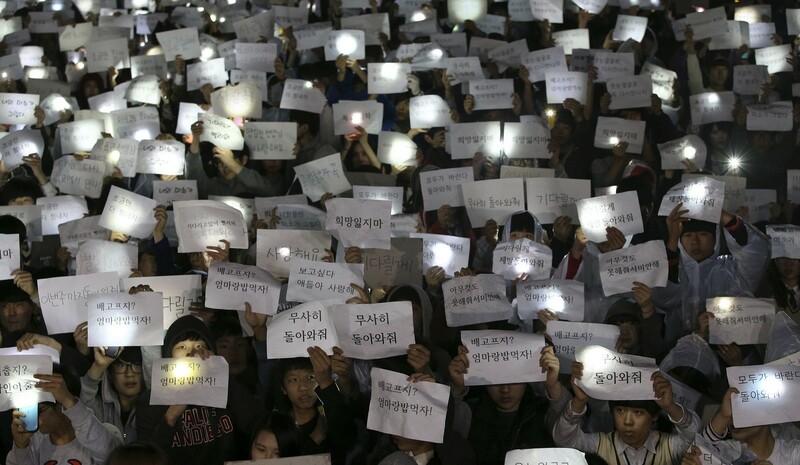 As accounts of the survivors are told, thousands of Koreans are working to file an online petition to give her legal recognition for her sacrifice. 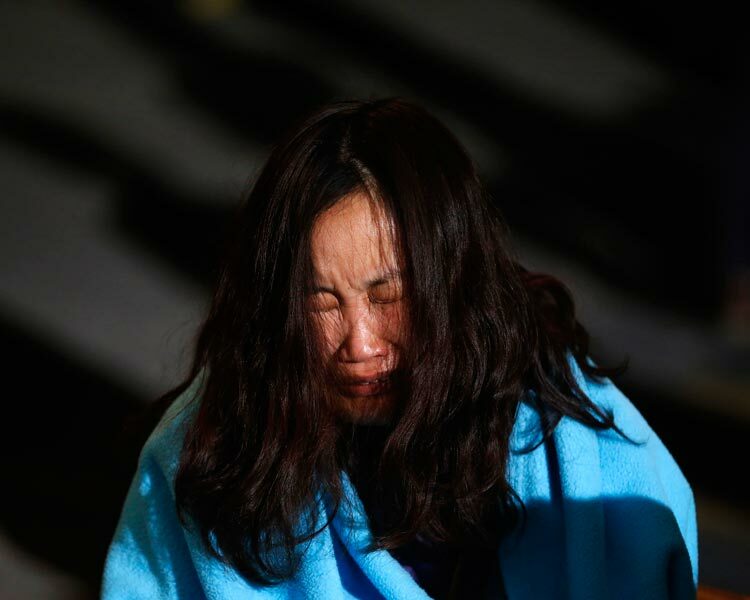 Once her actions are legally recognised by the government, the bereaved family will receive compensation and become eligible for extra health and education benefits. 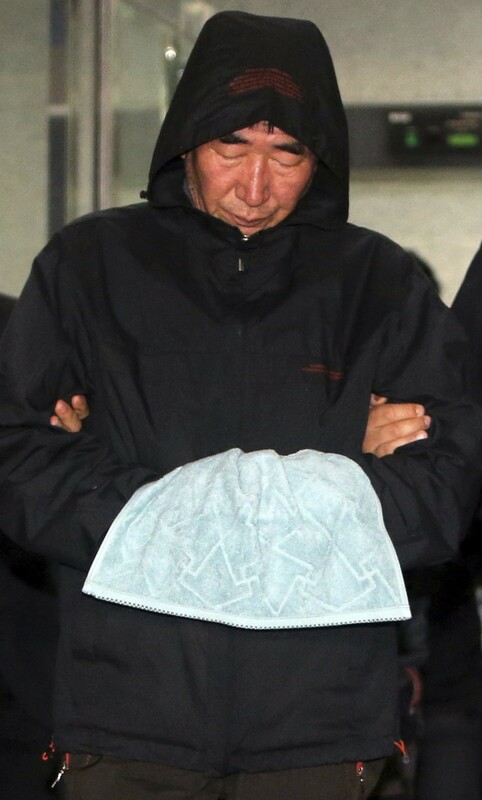 Park's body may also be buried in the national cemetery. 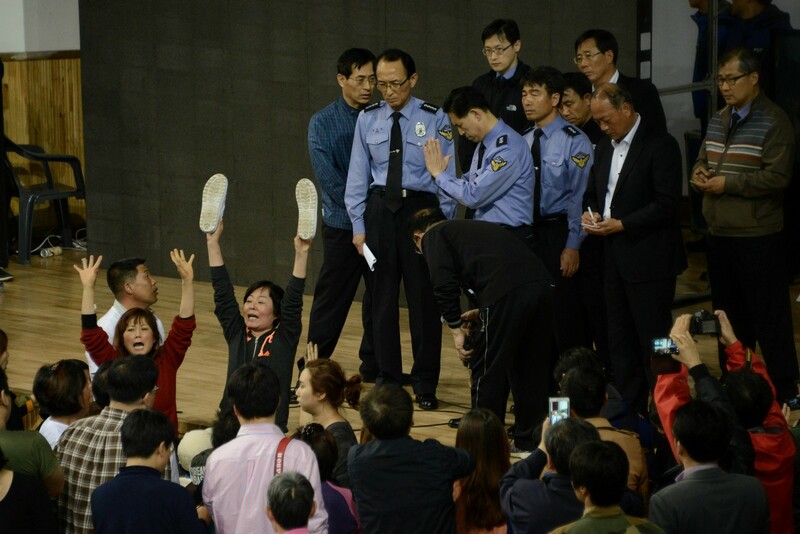 More than 31,000 citizens had signed the online petition for Park as of Tuesday afternoon. 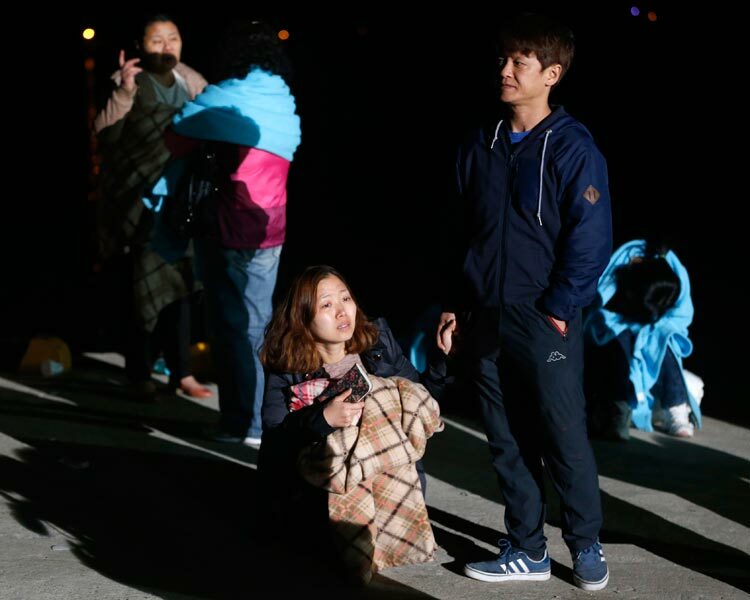 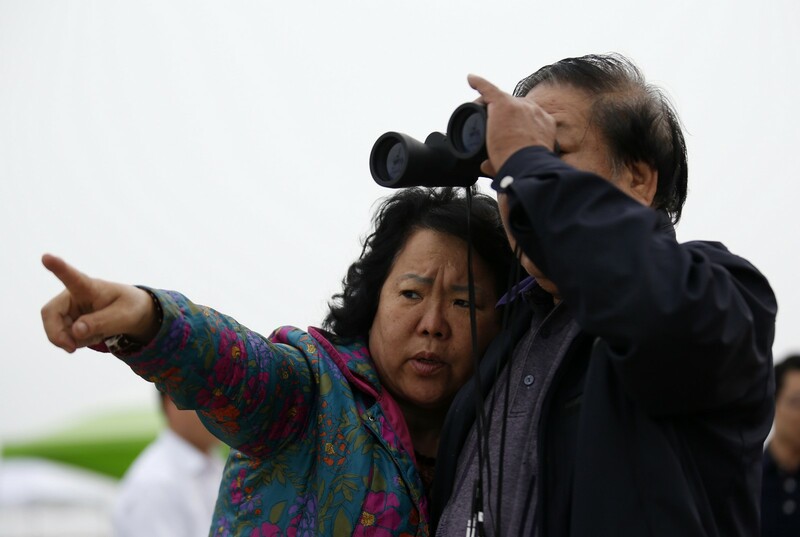 After Park's family or the municipal government makes the request, the Health and Welfare Ministry will evaluate whether Park is eligible for recognition. 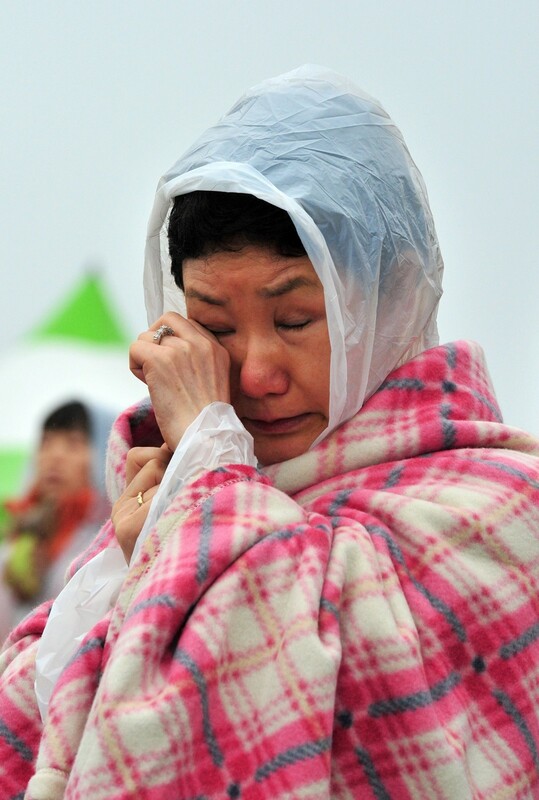 The legal recognition system was created to support bereaved families of those who risked their lives to save other people by going beyond the call of duty. 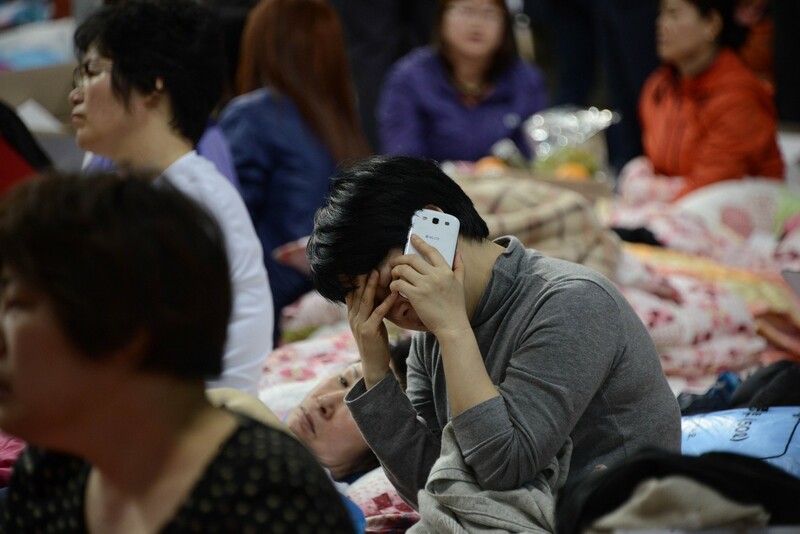 Dozens of funerals for other victims were held in other hospitals at the same time. 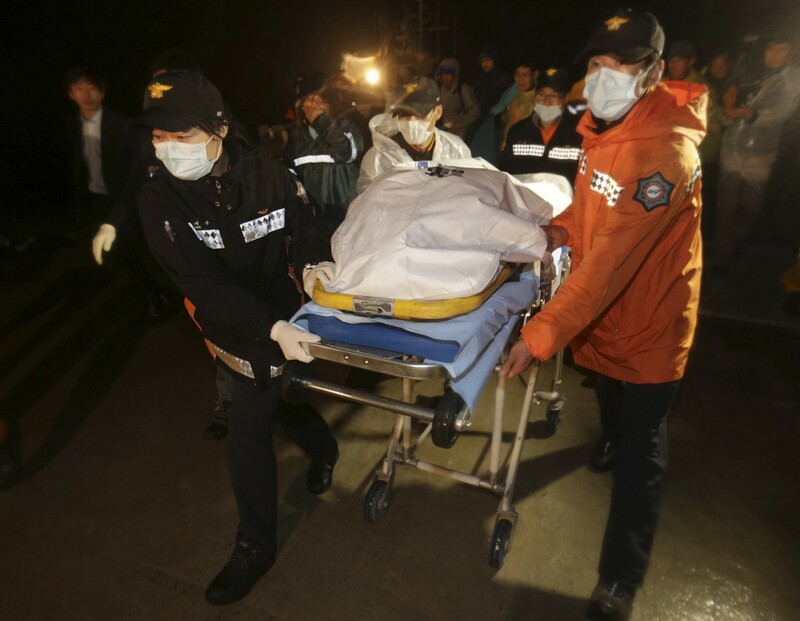 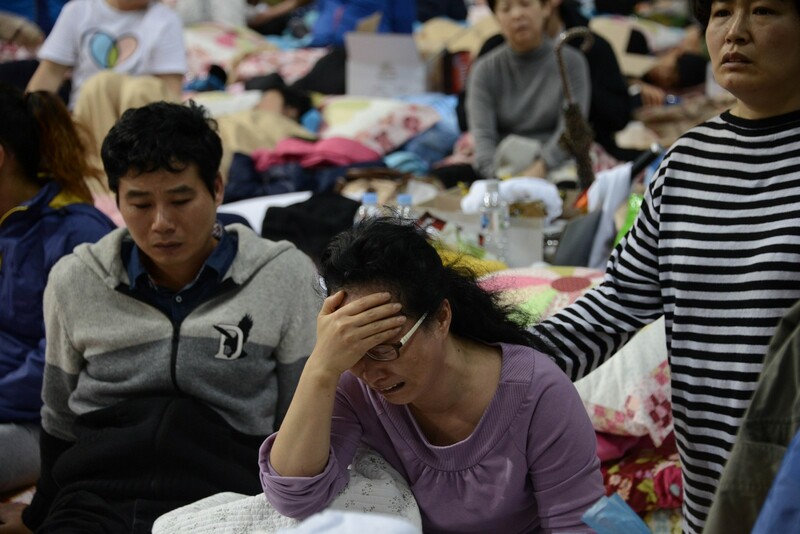 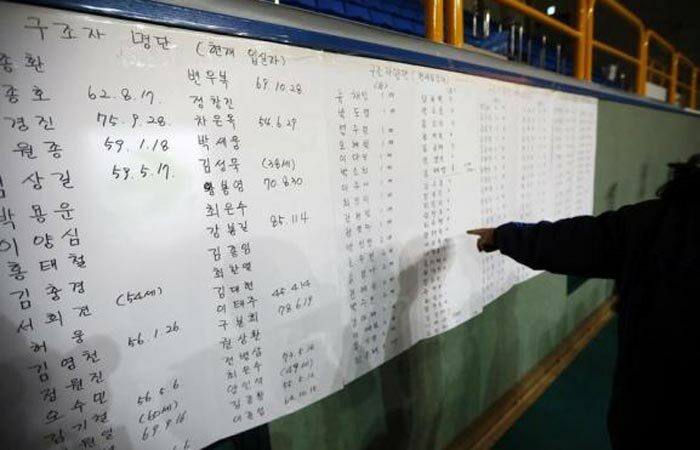 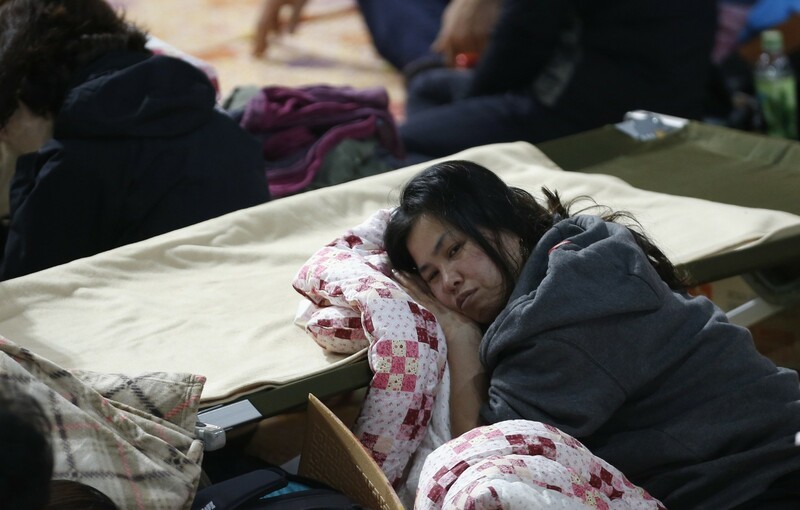 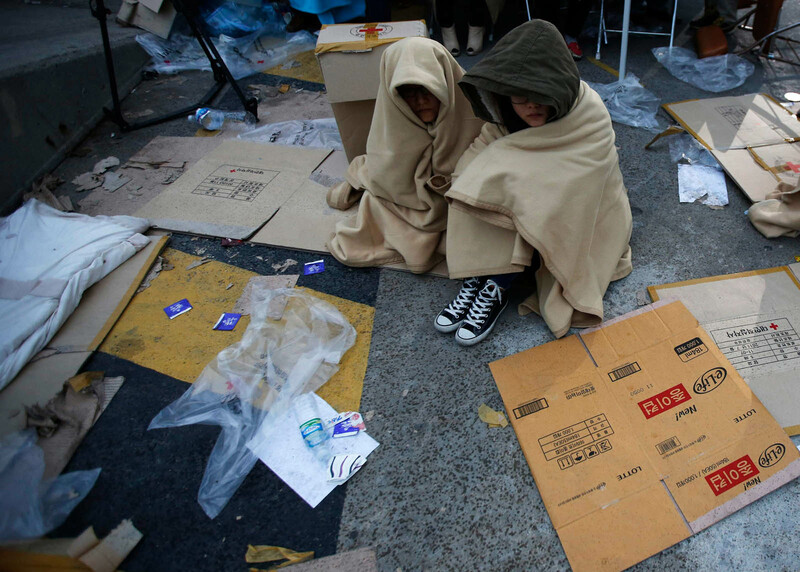 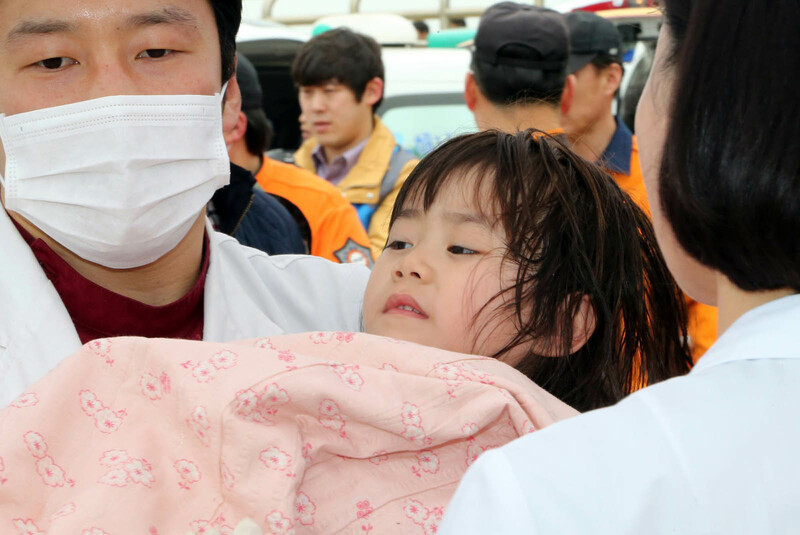 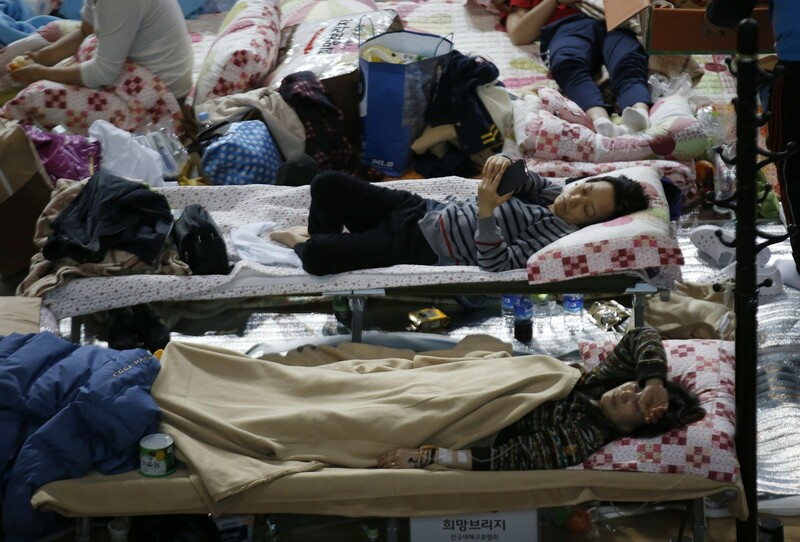 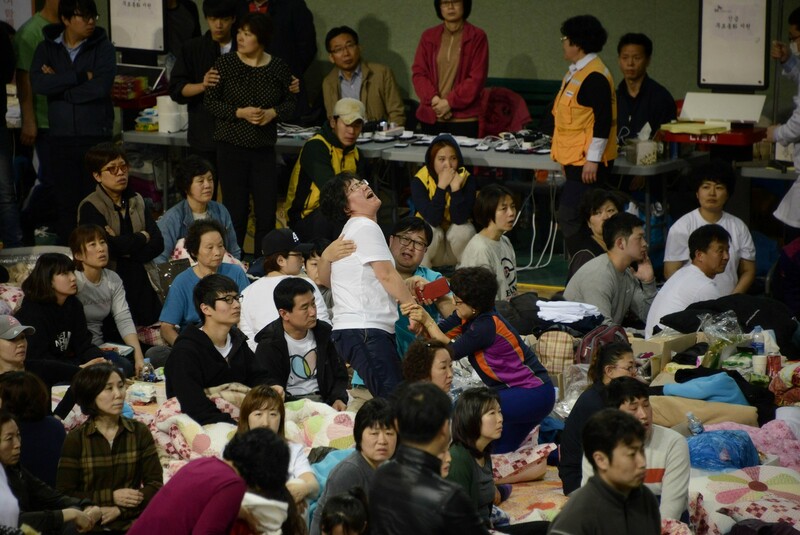 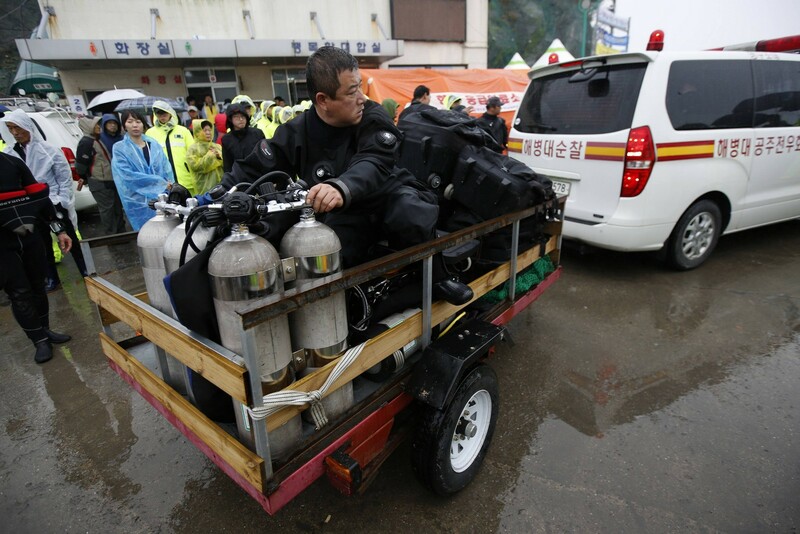 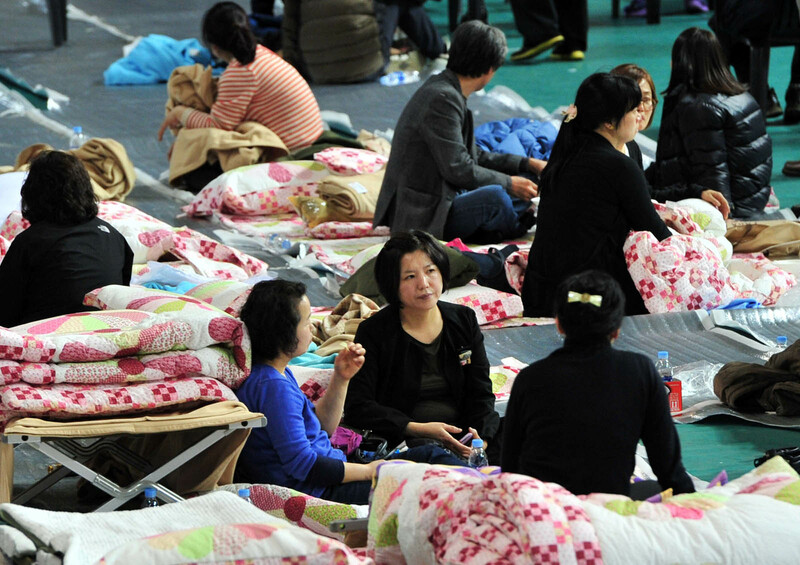 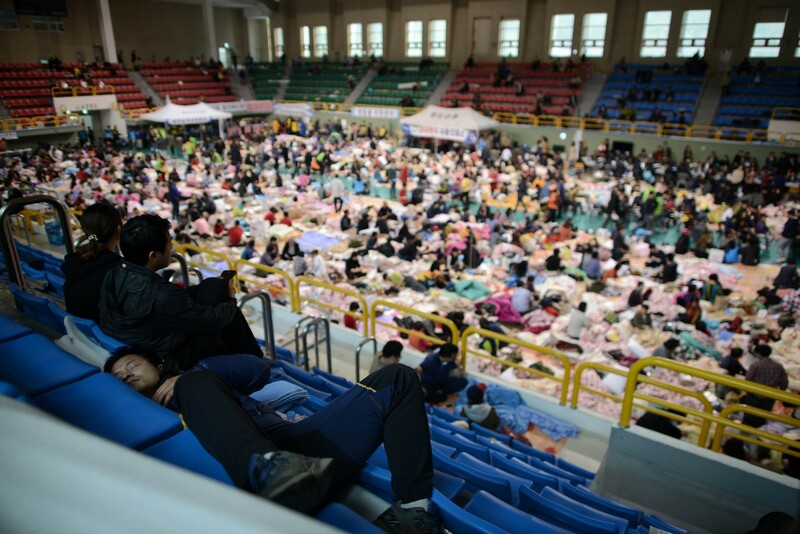 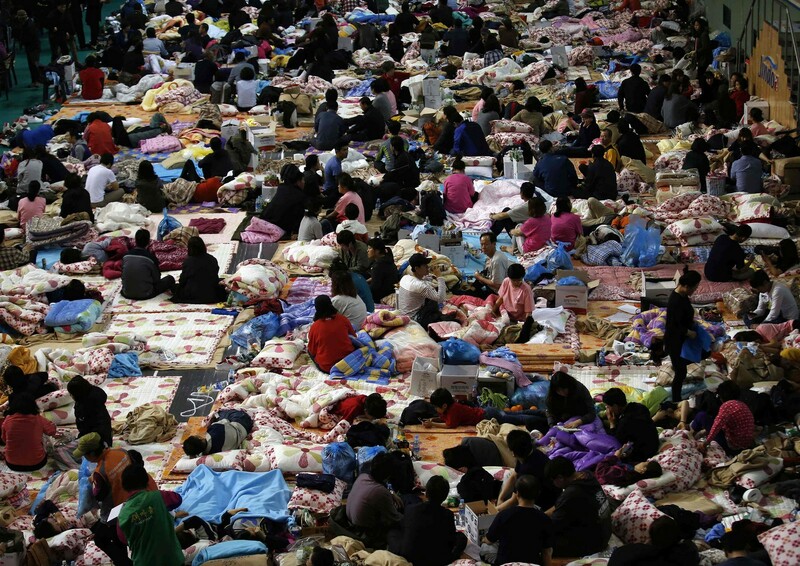 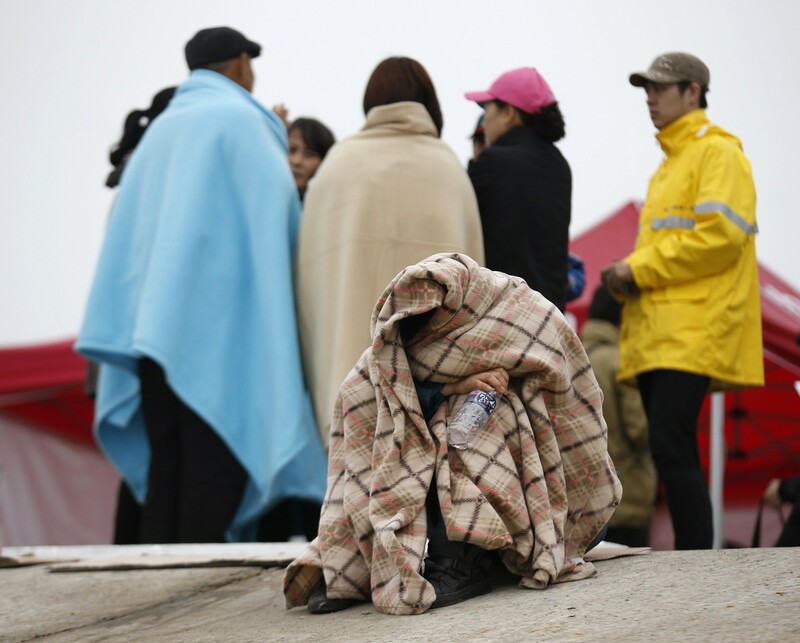 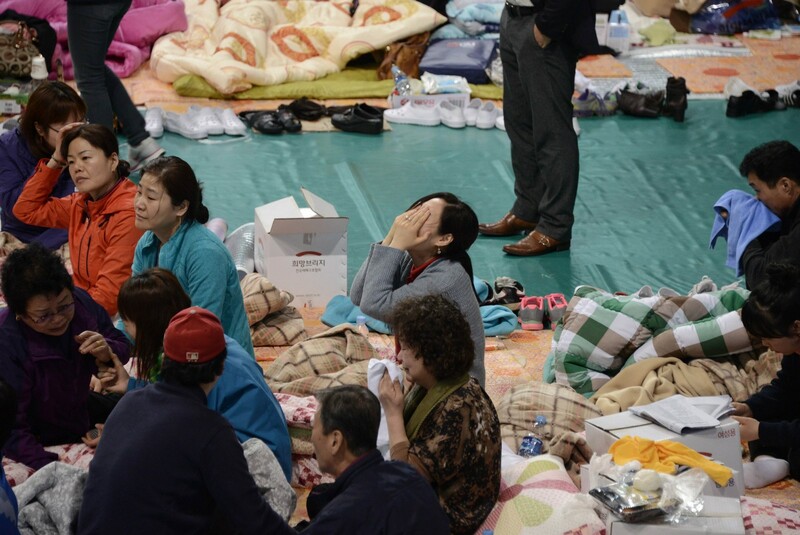 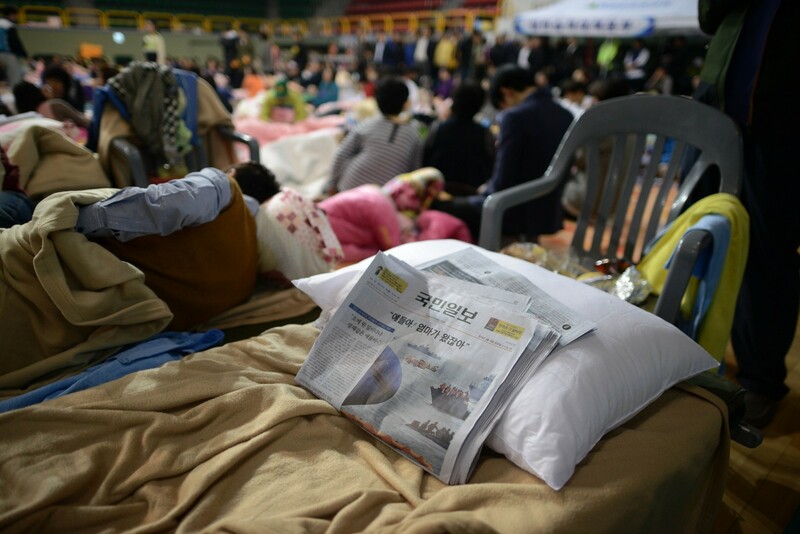 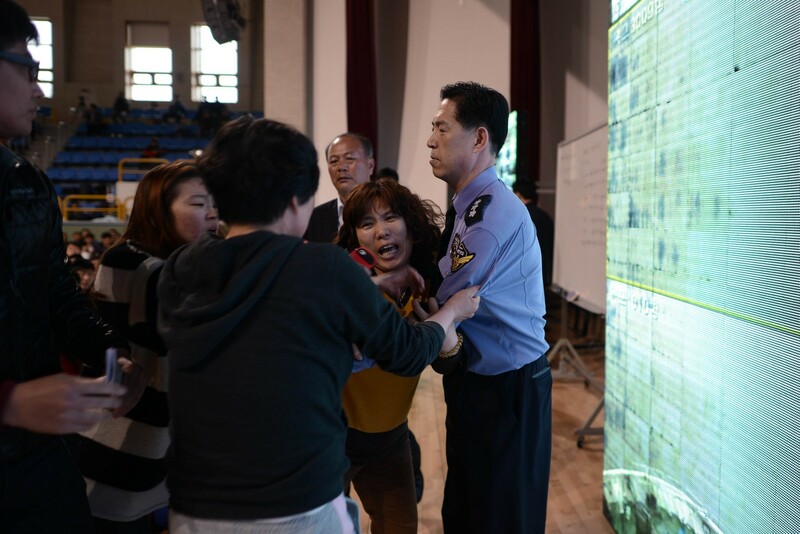 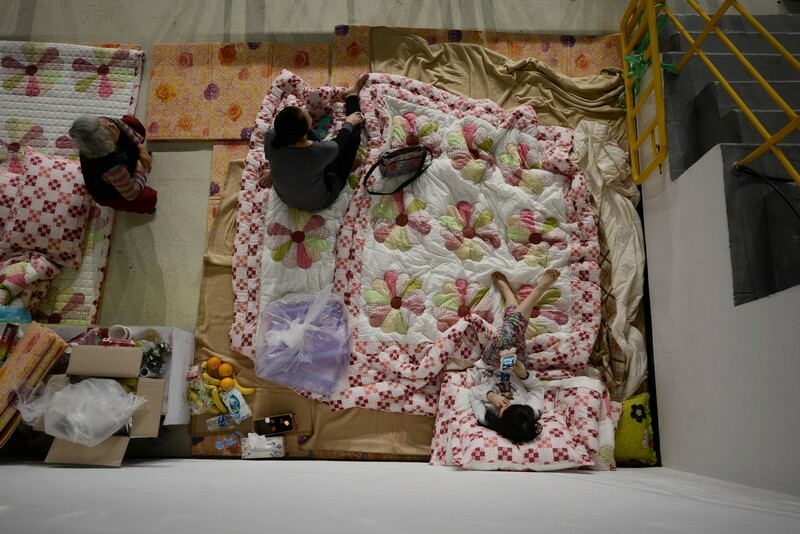 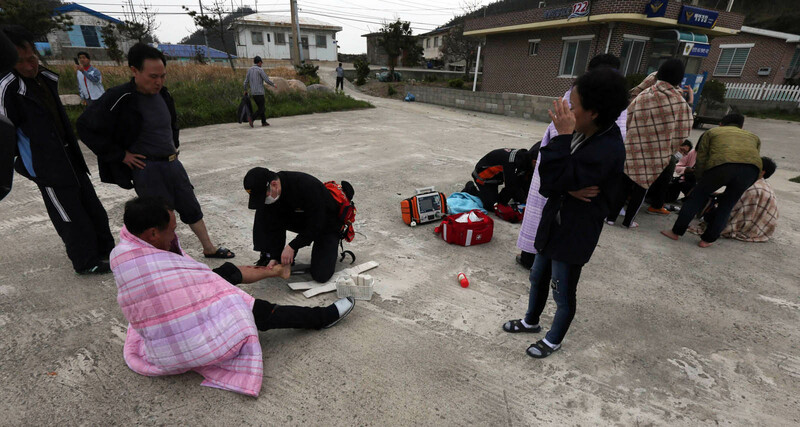 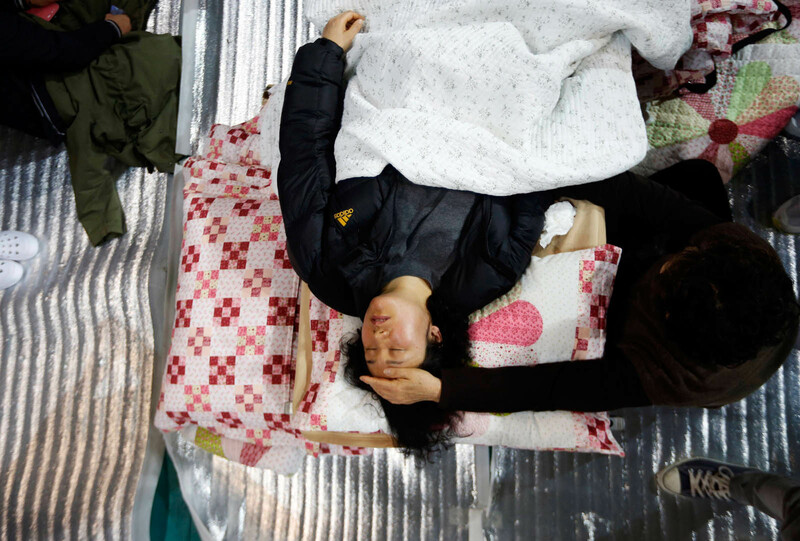 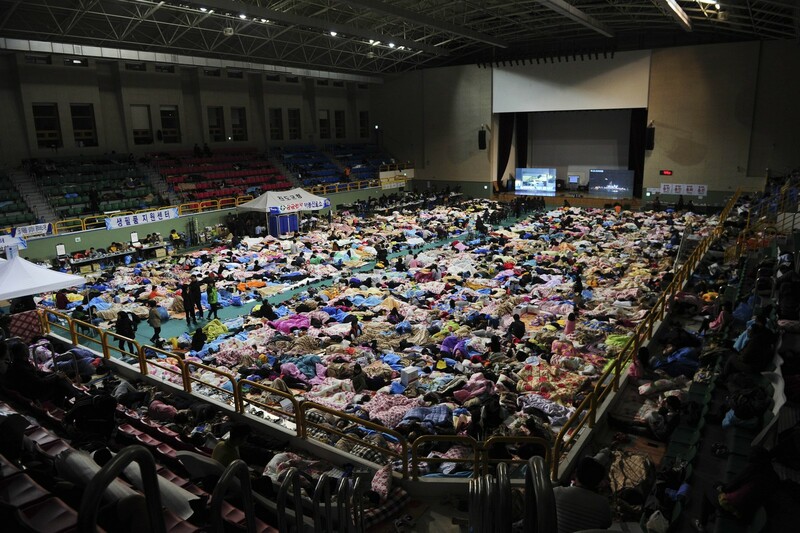 Meanwhile, hospitals in Mokpo, South Jeolla Province, have been in a state of chaos as more recovered bodies are coming in, while the body handover process remains disorganized. 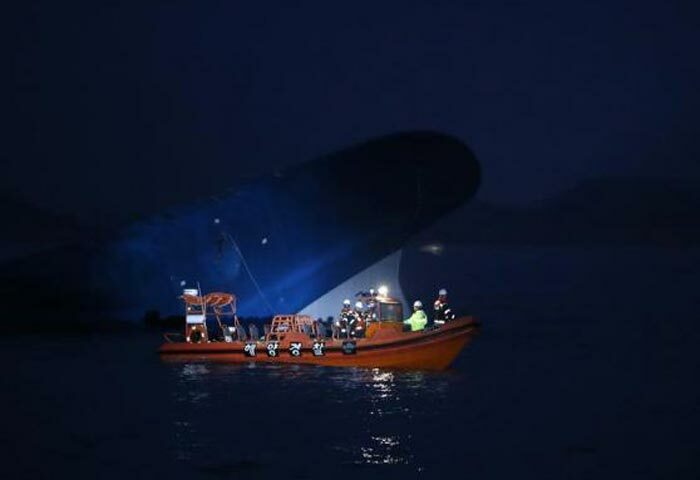 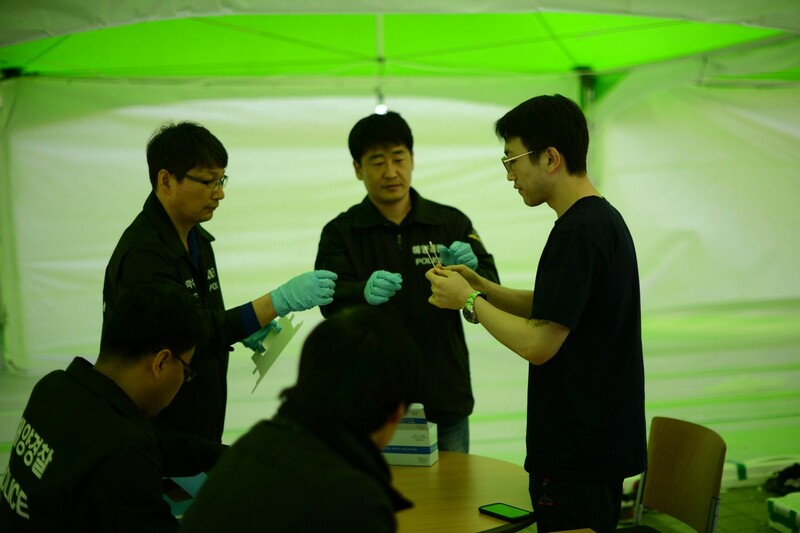 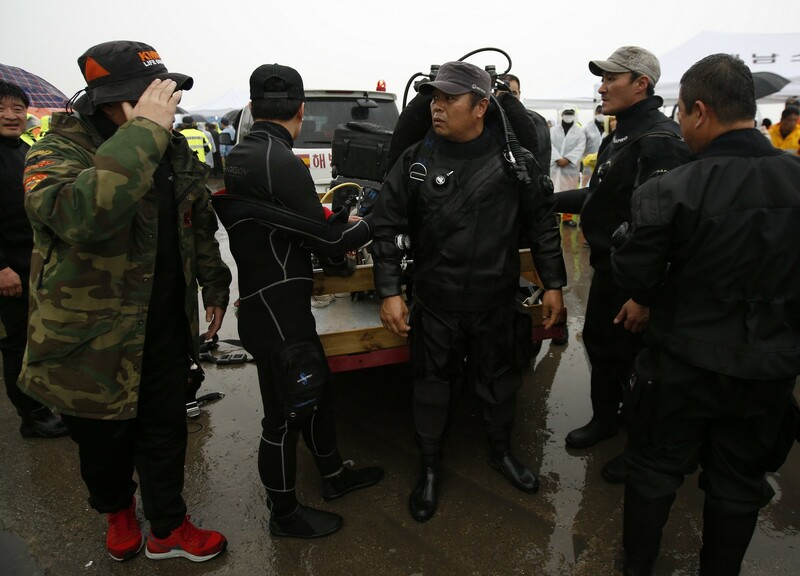 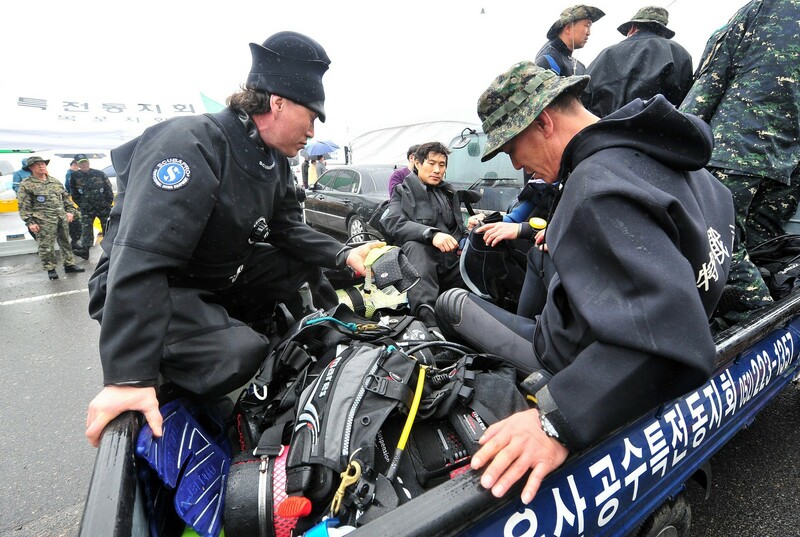 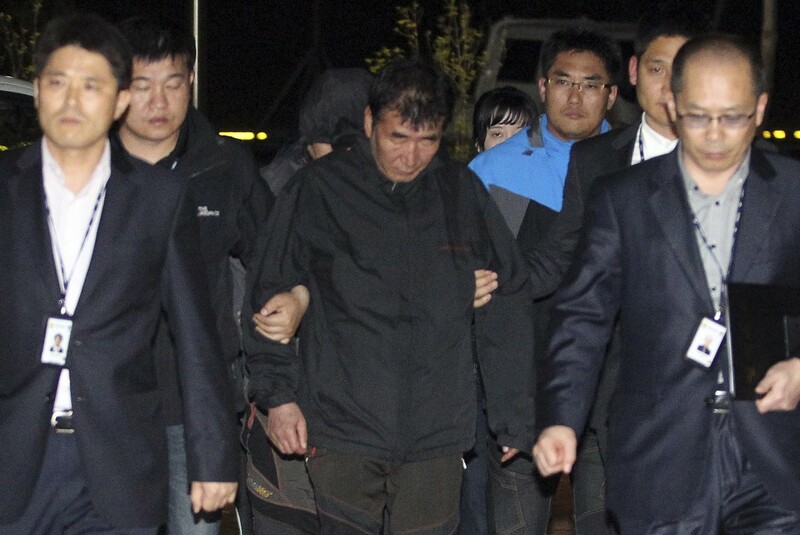 A recovered body sent from Mokpo to Ansan was found Tuesday to have been misidentified, according to a DNA test, authorities said. 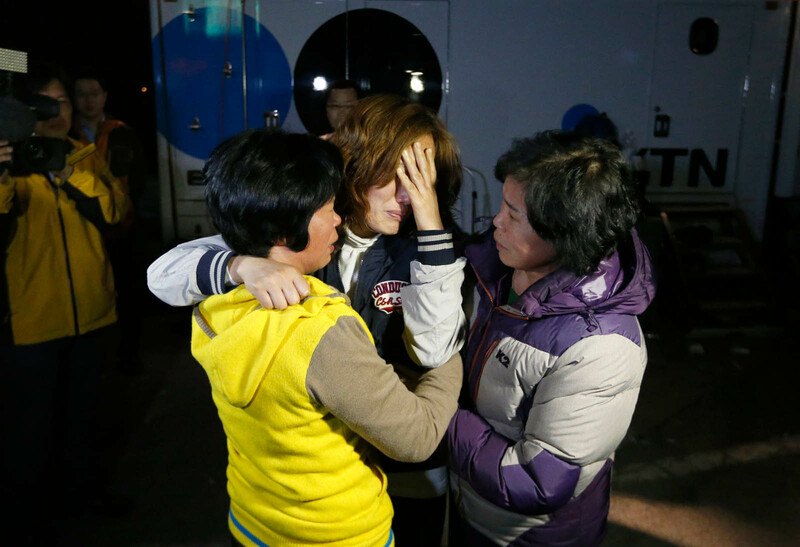 Officials brought the body back to the hospital and notified other families of missing students. 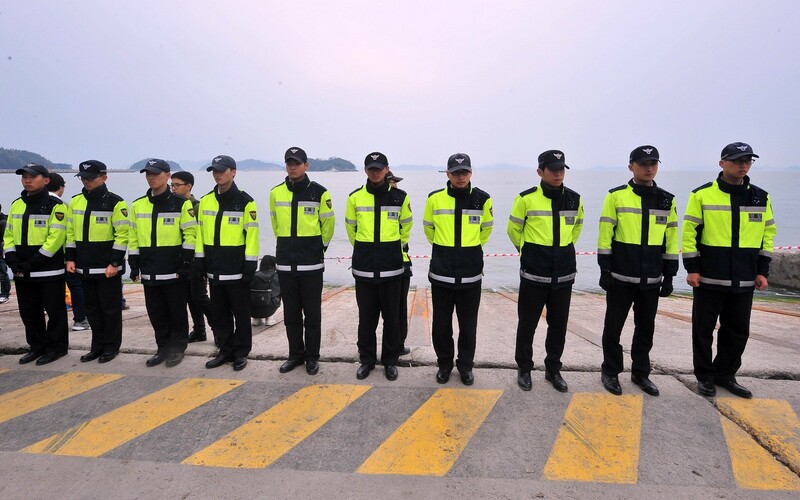 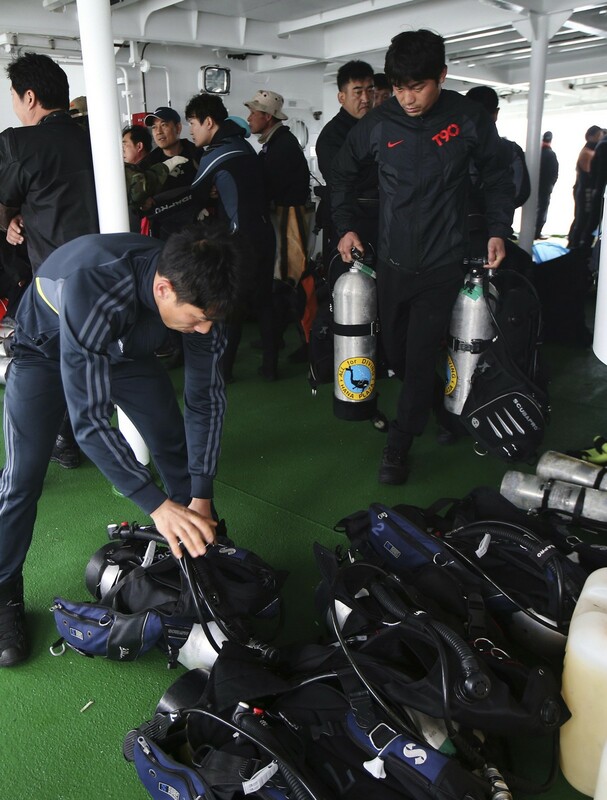 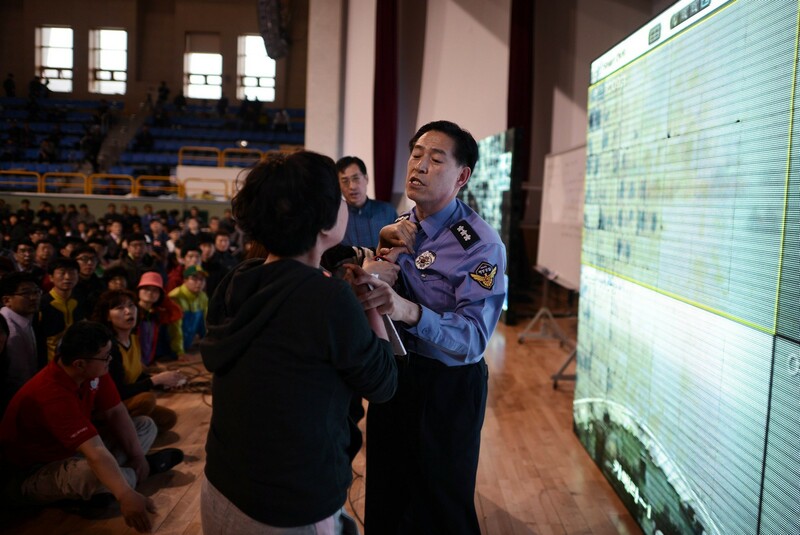 As long as families of the victims check the bodies, the maritime authorities said Monday that they would allow families to transport identified bodies to their hometowns before the results of the DNA identity tests were released. 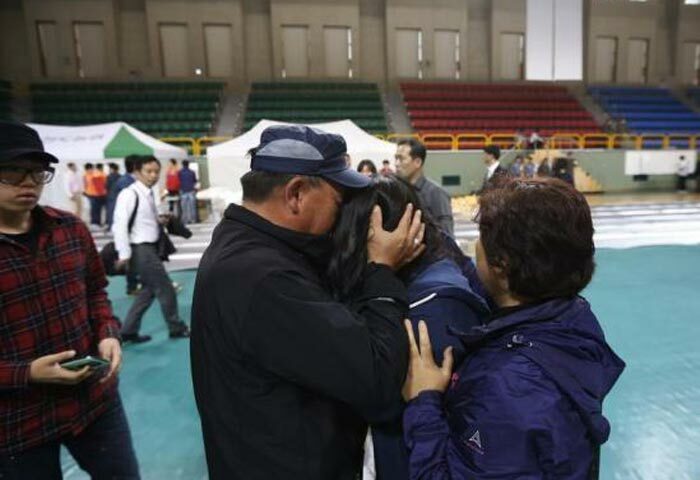 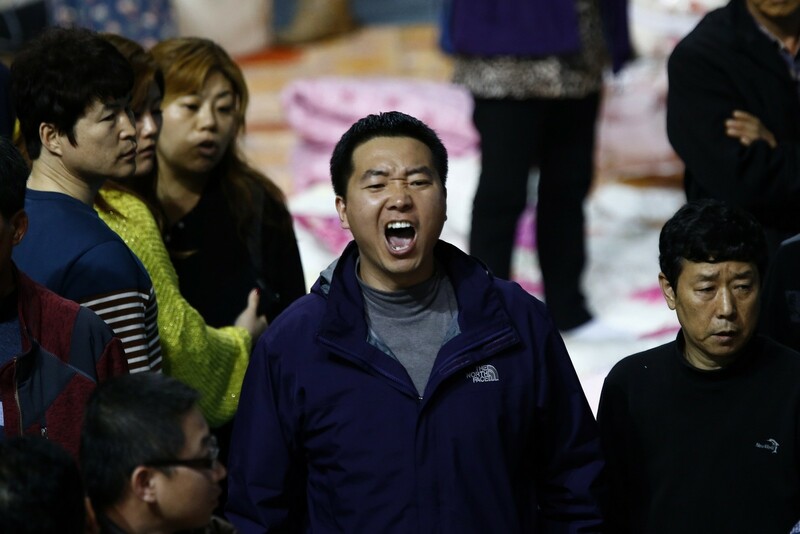 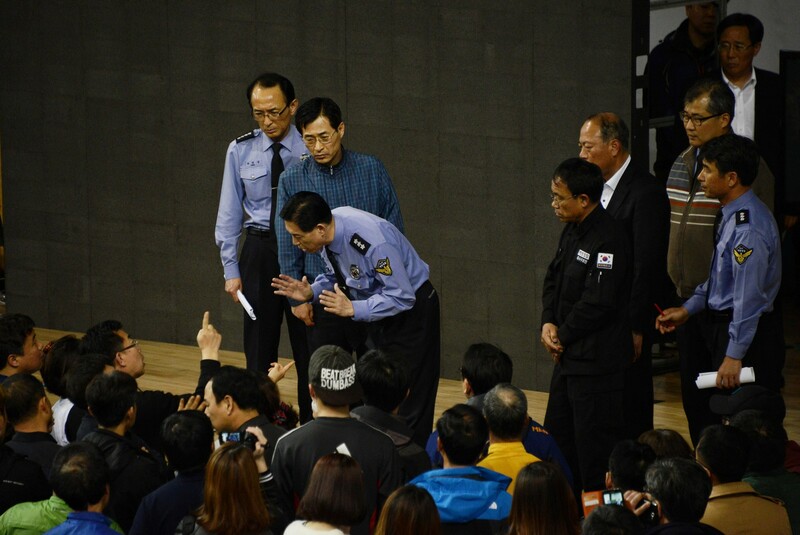 However, authorities asked the families to postpone funeral services until the DNA identity test results came out. 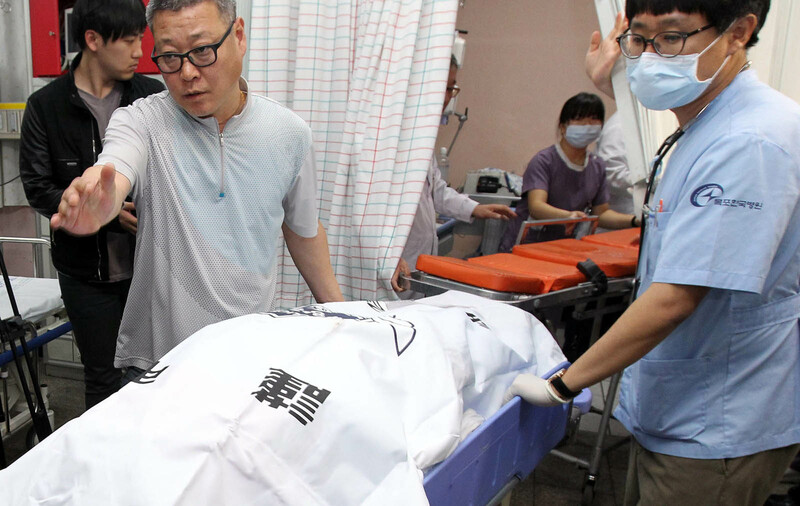 The change in procedure was made after bereaved families complained about the late handover of the recovered bodies due to the mandatory DNA test. 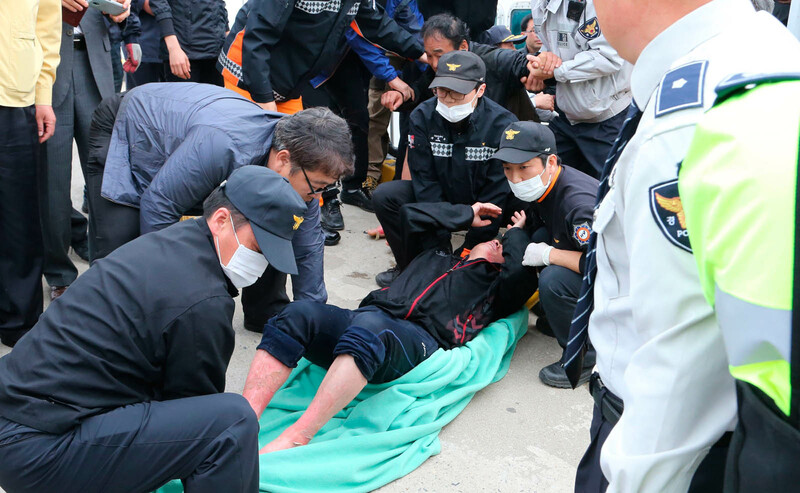 While the test was introduced after a recovered body was sent to the wrong family last week, it prompted some complaints as the test requires the families to wait a day to get the results.